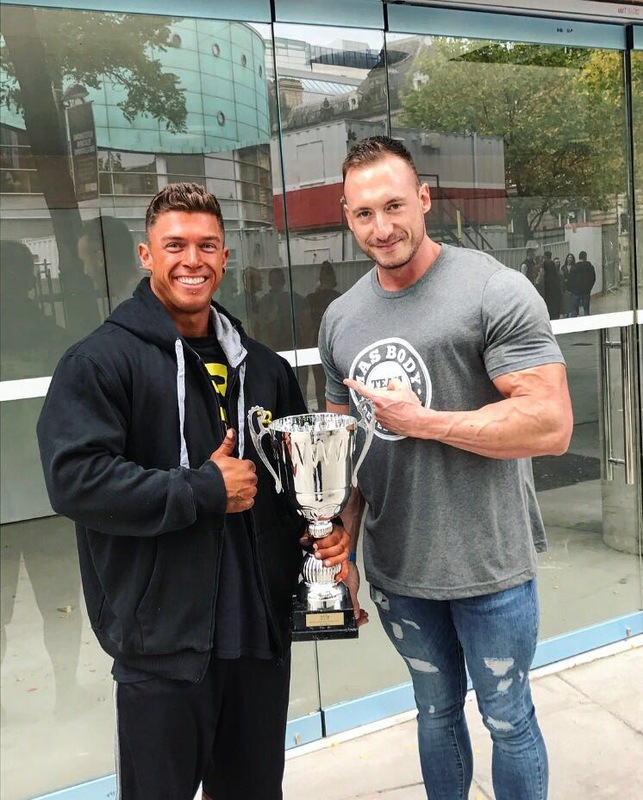 Giuliano wins the 2018 UKBFF British title in junior mens physique - 2 weeks after taking third in the Arnold Classic in Barcelona! 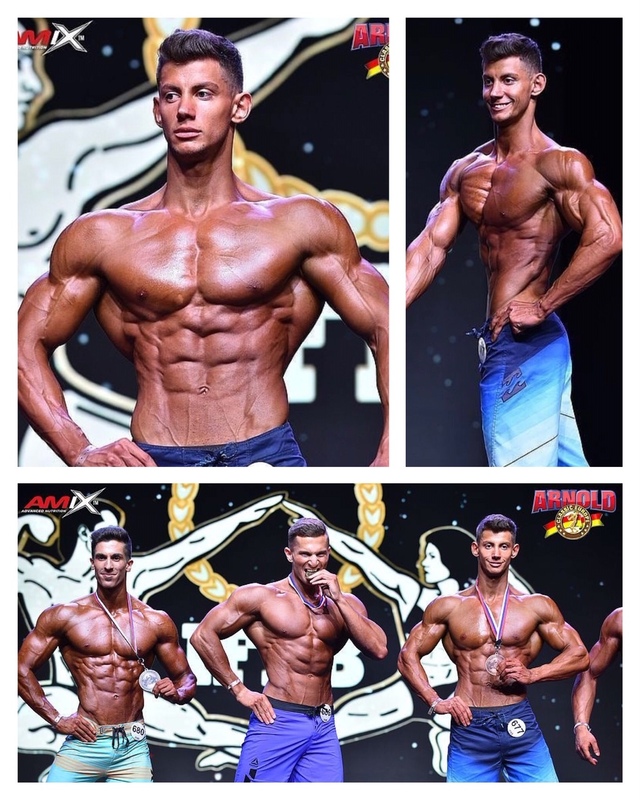 In only his second junior mens physique show, Giuliano takes a Bronze Medal at the Arnold Classic sports festival in Barcelona competing with the best athletes in Europe! When Nic and I first met he told me that he wanted to compete in Men's Physique. Nic had a great first contest season in 2015 - coming 3rd in a local qualifier receiving an invite to the British Championships - where he placed 16th. We worked closely together on the off season from late last year until about March/April time this year when contest prep started again. We focused on his weak areas and due to a photoshoot Nic started dieting about 23 weeks ago. We entered into the Kent Klassic in August where Nic placed 2nd out of 20 competitors - again getting an invite to the British Championships. The focus then switched to improvements that needed to be made if Nic was going to stand any chance of reaching top 6 in the UK. This included posing/ stage presence, ab-control and conditioning. 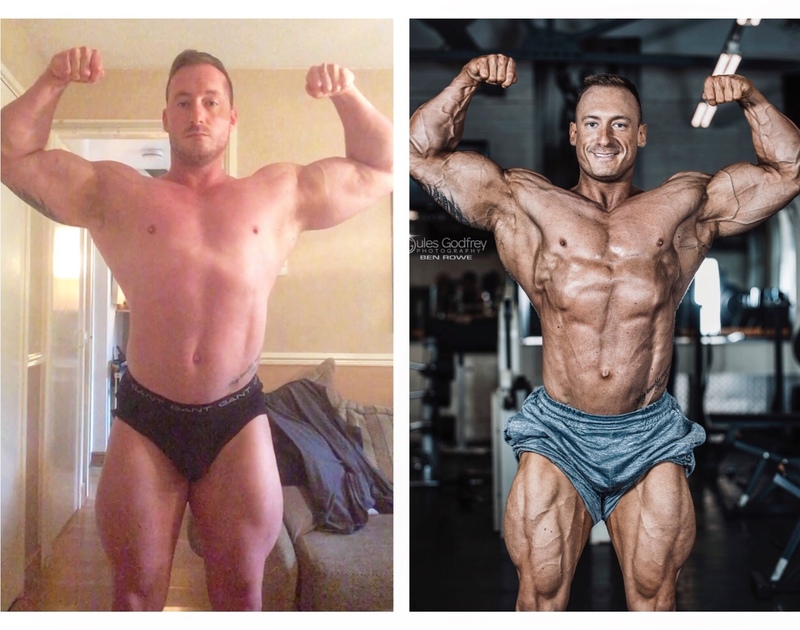 He was actually lighter on stage this year but conditioned on a whole new level and won the UKBFF British Championship within two years of competing. If you set your mind to something you can achieve it if you really want to. It may take 6 months it may take 16 years - but no one's going to give you something amazing for free. Sometimes things are going to be very hard work and this is an example of pure hard work and dedication for the last two years on and off. I hope it inspires some guys out there that you can achieve great things. Tilda takes the win at the PCA Welsh qualifier 2018 in toned figure. 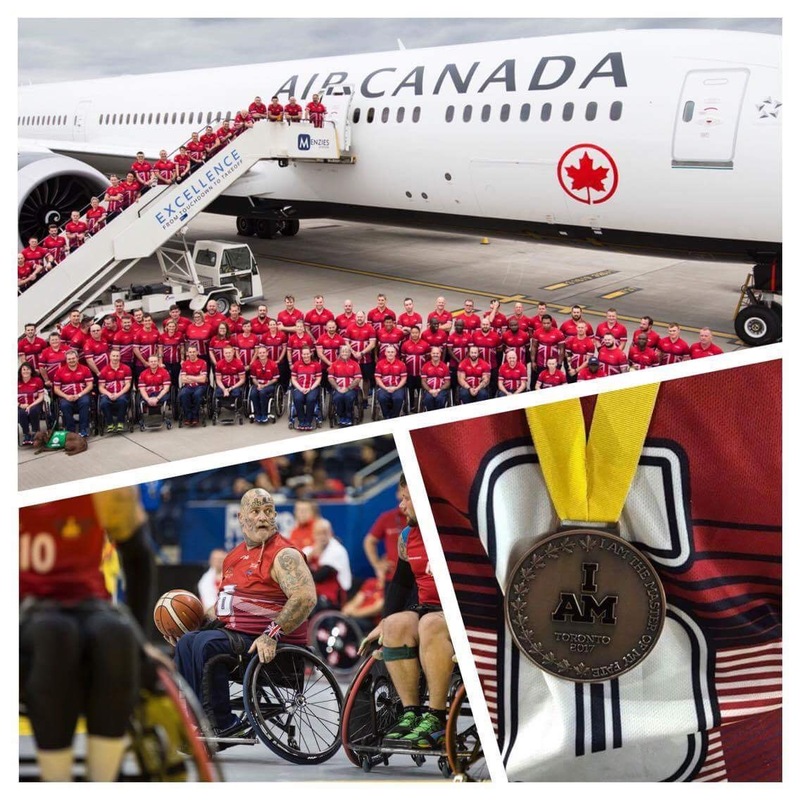 My client Paul, along with the GB Invictus basketball Team winning Bronze medals at the 2017 games. Conor's amazing progress from 18 - 20 years old. Everyone can make that change of lifestyle if they really want too! Very proud of Conor's amazing determination & hard work. 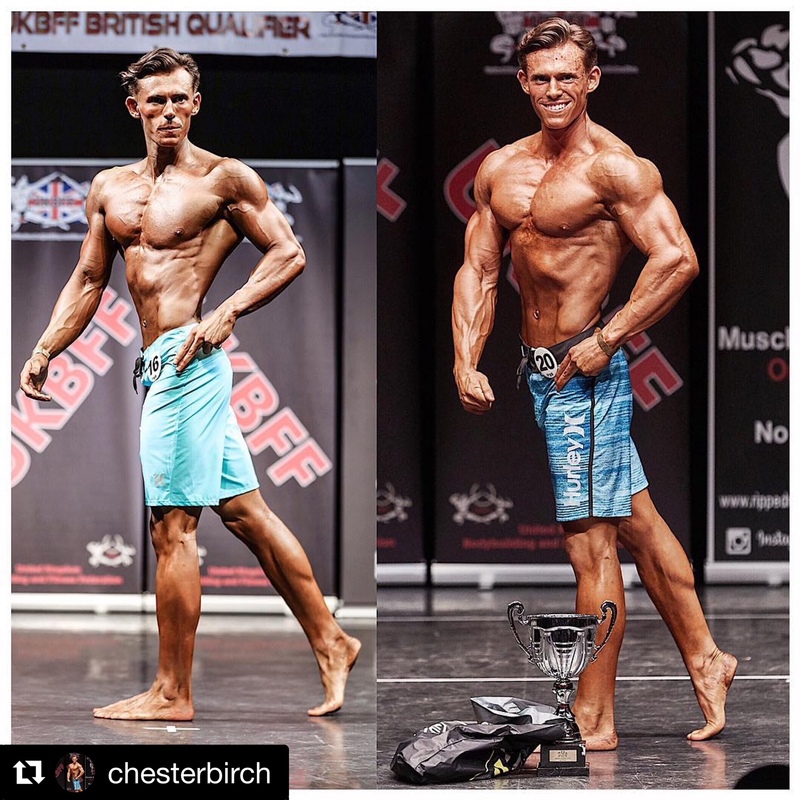 Chester jnr mens physique on stage 2017 (3rd place) / 2018 (1st place). 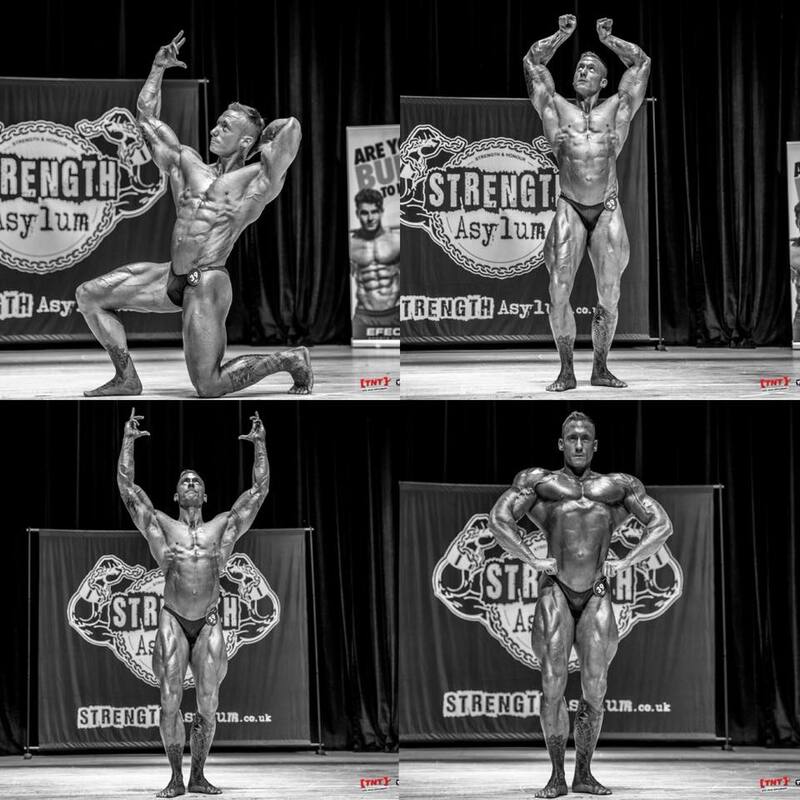 Carl reached the top 10 (second call outs) in an amazing under 90s open class at the 2Bros Amateur Olympia. At only 25 years old and room for growth within the category this was his very best showing to date. 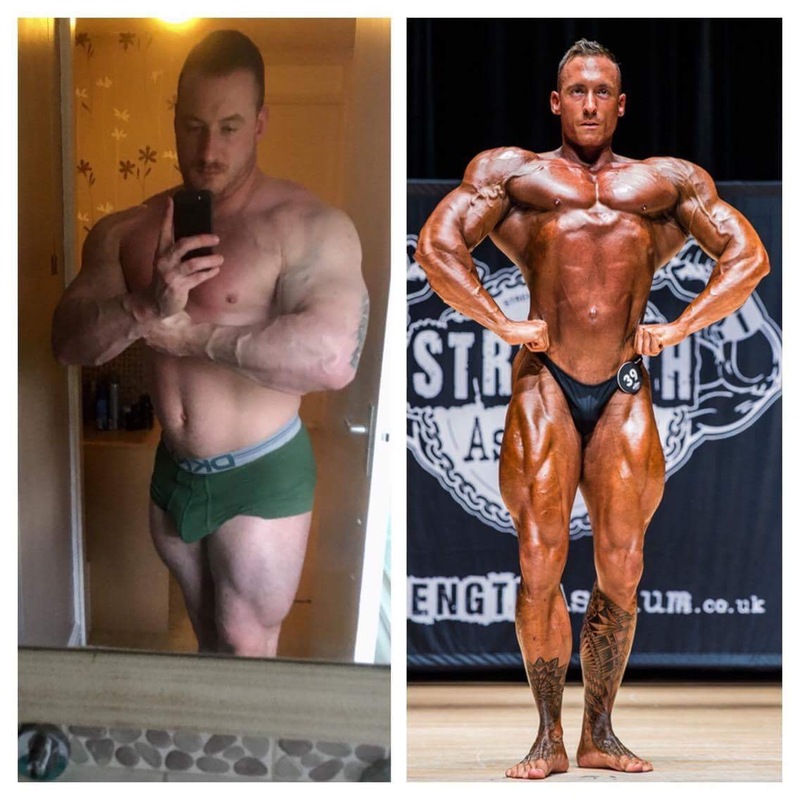 4th place for Carl at the UKBFF British Finals in 2017 in under 90kg bodybuilding after competing in Barcelona at the Arnold classic two weeks before. 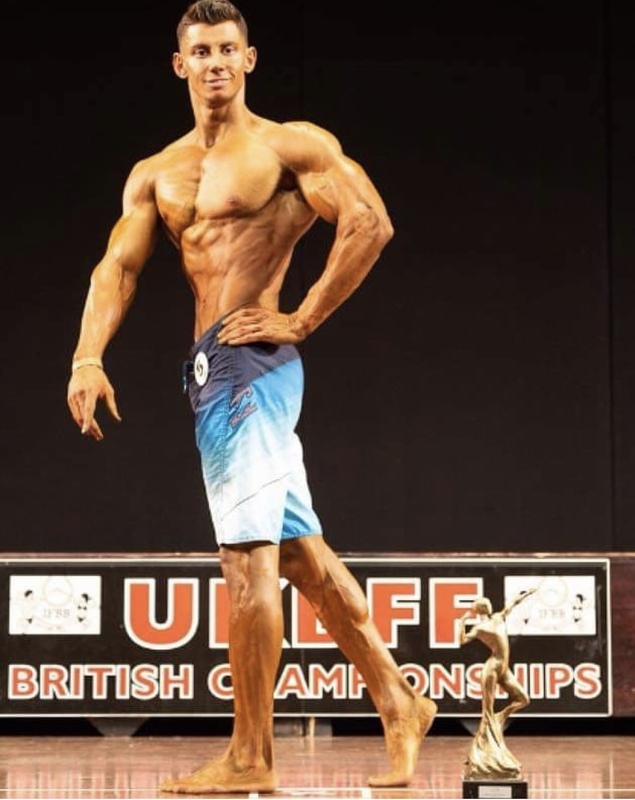 I got moved from tall classic class and stepped on stage again 6 hours later in class 2 mens bodybuilding, placing 5th at the British Championships. 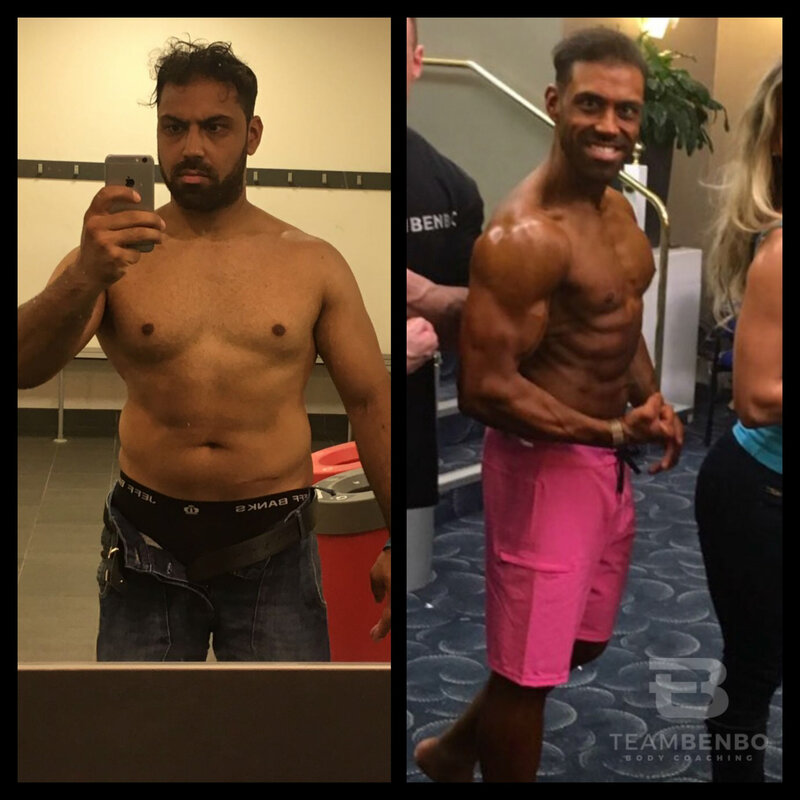 My progress pics after 18 weeks of contest prep to the PCA British Finals 2018 where I placed 5th in the UK in class 2 mens bodybuilding. Classic bodybuilding at the PCA JP show 2017 receiving my invite for the 2018 British finals. 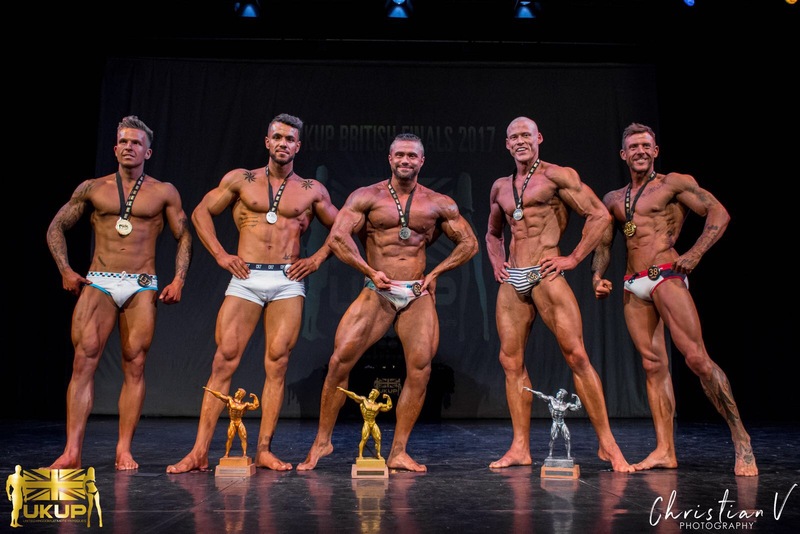 Jakub, winning the PCA JP Grand Prix muscle model category 2017 qualifying for the British Finals. 26lbs between pictures! Ciara worked incredibly hard on her 14 week contest prep for her Pure Elite bikini show. On the day Ciara won her class (bikini tall). 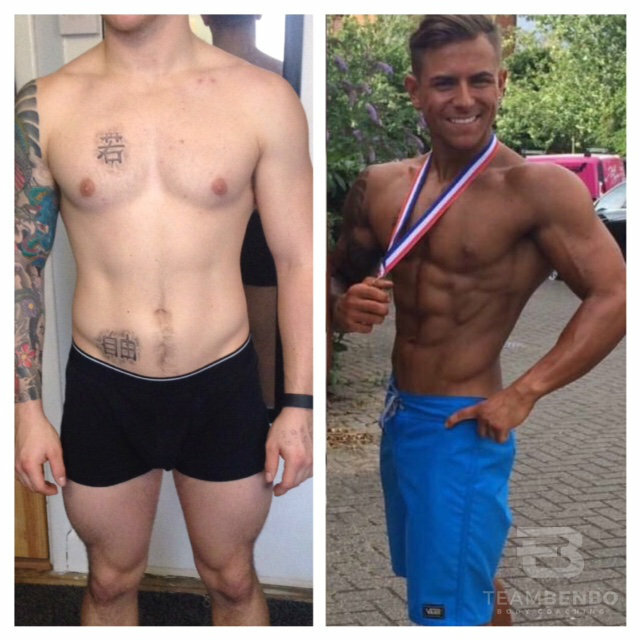 Karel undertook a competition prep for 14 weeks to enter his first bodybuilding show. As you can see we worked very hard to completely transform his physique. 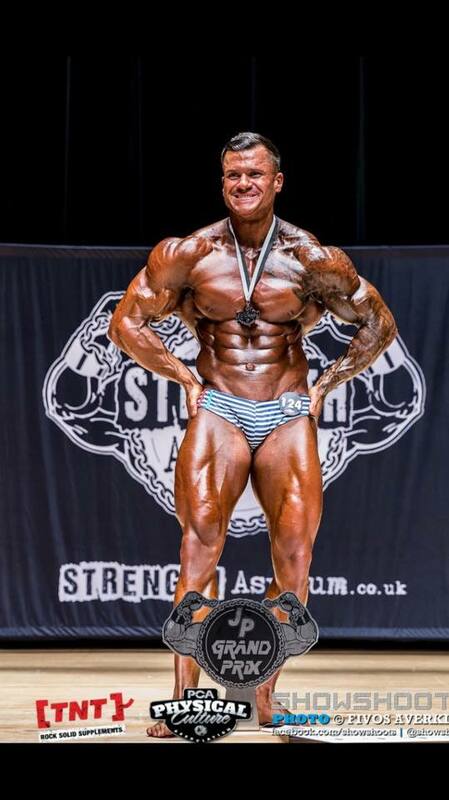 Karel won his category (under 80kg bodybuilding) and qualified for the UKBFF British Championships, where he placed 2nd. Dan approached me to support his diet strategy to assist with his strong man training and recovery. 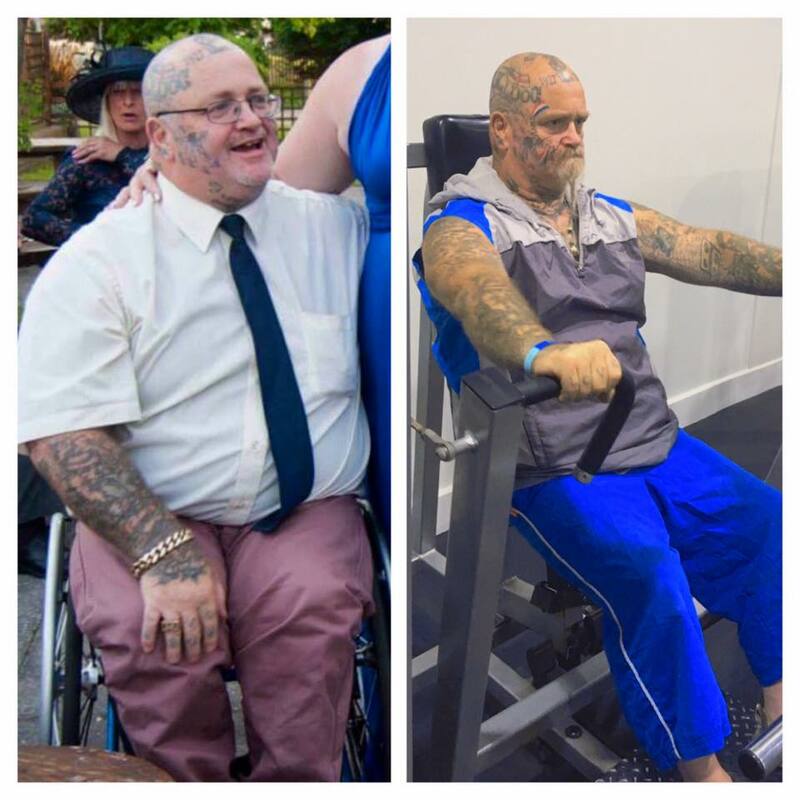 As a result in less than a month he dropped 11lb whilst increasing his lifts; in fact he achieved personal bests in the gym and at his competition. 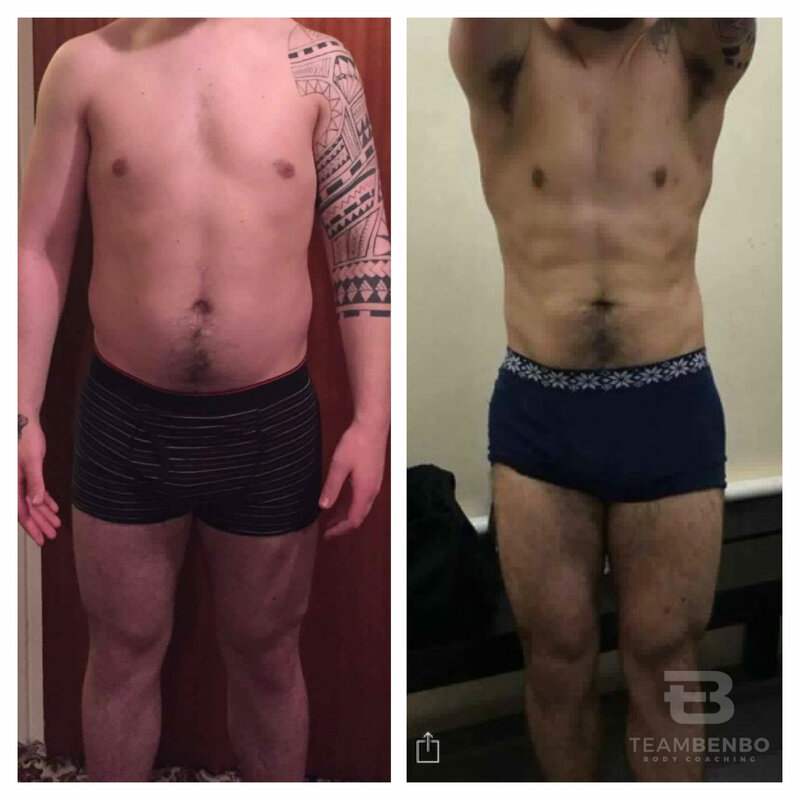 Conor's amazing results after 16 weeks online coaching. At the age of 18 Conor was 20 stone plus. Now aged 20 he has turned his life around and looks incredible. We did a posing session together just before the second pic was taken. Prior to that he had not taken his top off in public before. He has grown in confidence and is much more satisfied with his own physique. 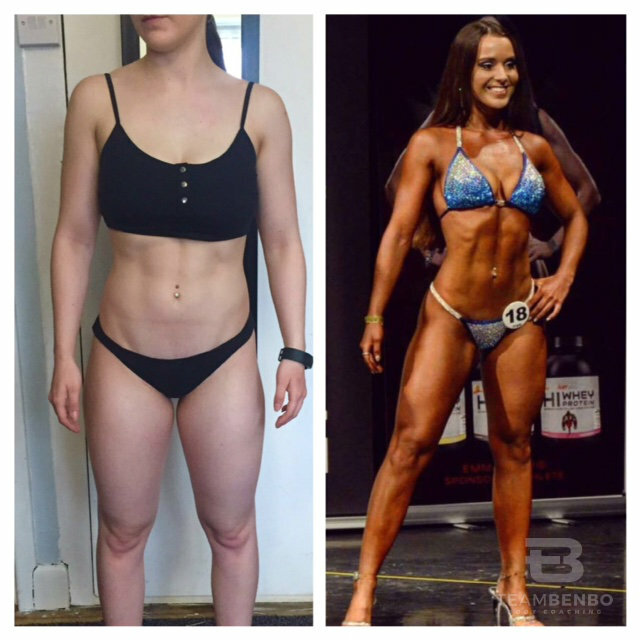 What an amazing 15 week transformation towards Lisa's first bikini competition. Through competition prep she was able to learn more about training and nutrition to completely change her physique. Leaner, stronger and happier within her own skin. Very proud of her hard work and determination. 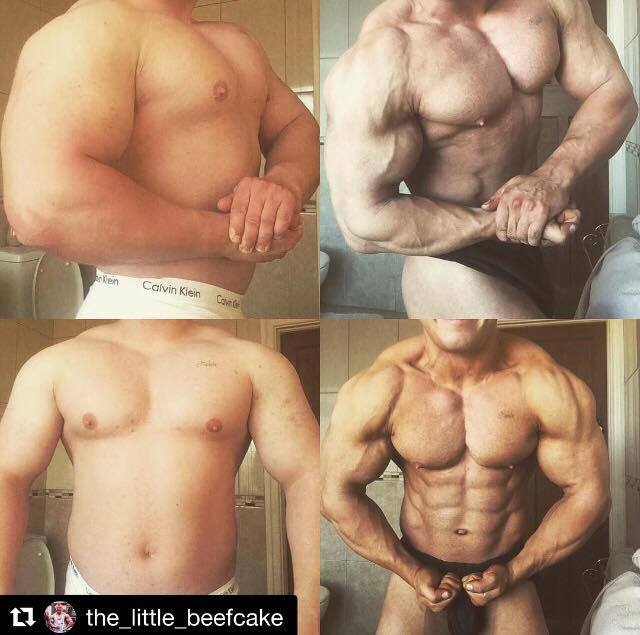 Awesome transformation of Luke from two tailored programs this year. Luke wanted to change his lifestyle to enable physique progression. 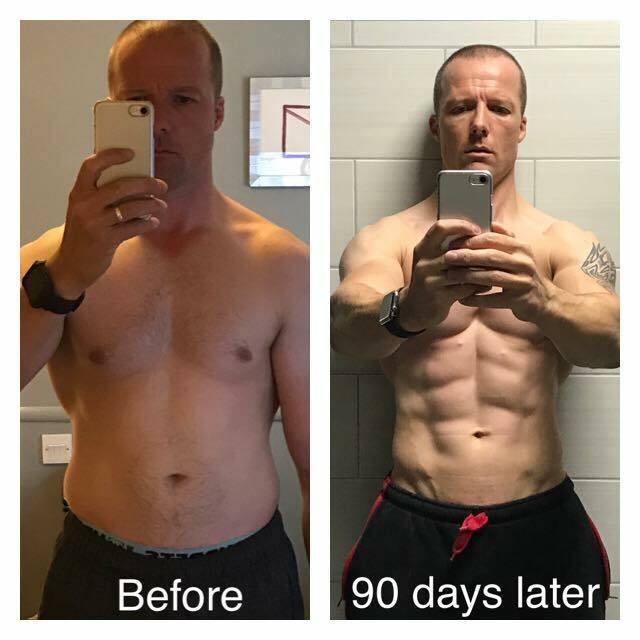 Through structuring his nutrition and training plans these were the improvements that were made - significant fat loss and lean tissue gain. 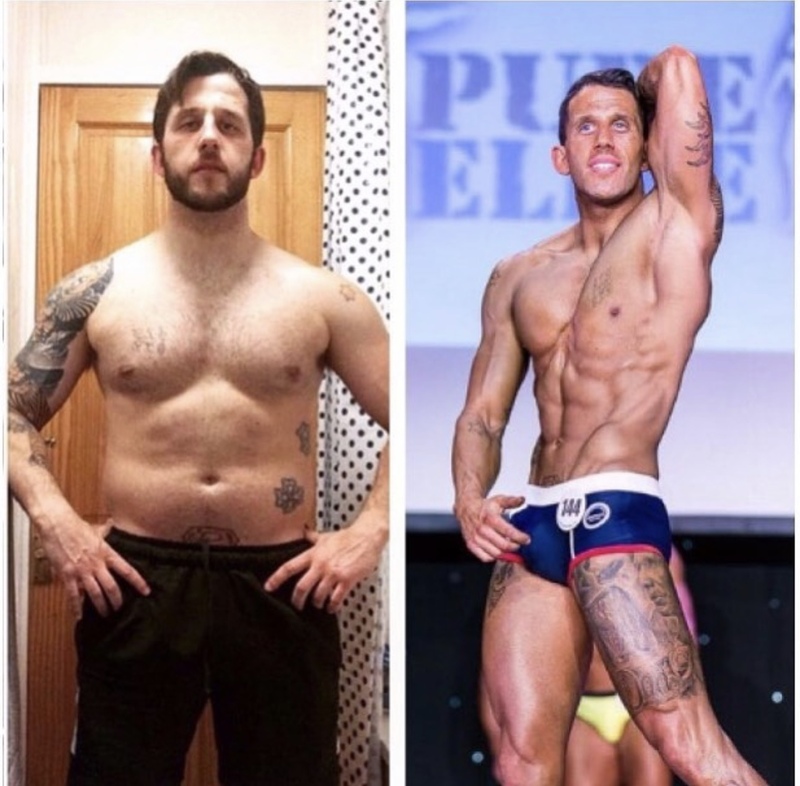 Luke will admit he stuck to the plans mainly during the week days and relaxed a bit at weekends but this just shows that you can change your physique and have a life at the same time! It may take a little longer but the results speak for themselves. I've worked with Erhan on and off for five months now. Our work has included online coaching with diet check-ins and four weeks of personal training to learn some specific training knowledge for use in the future. His average gym time was 3-4 times per week and he subsequently changed his lifestyle - juggling family commitments & business. Erhan will tell you that he had ups and downs and total relapses at times...BUT he persevered until he achieved his goal. 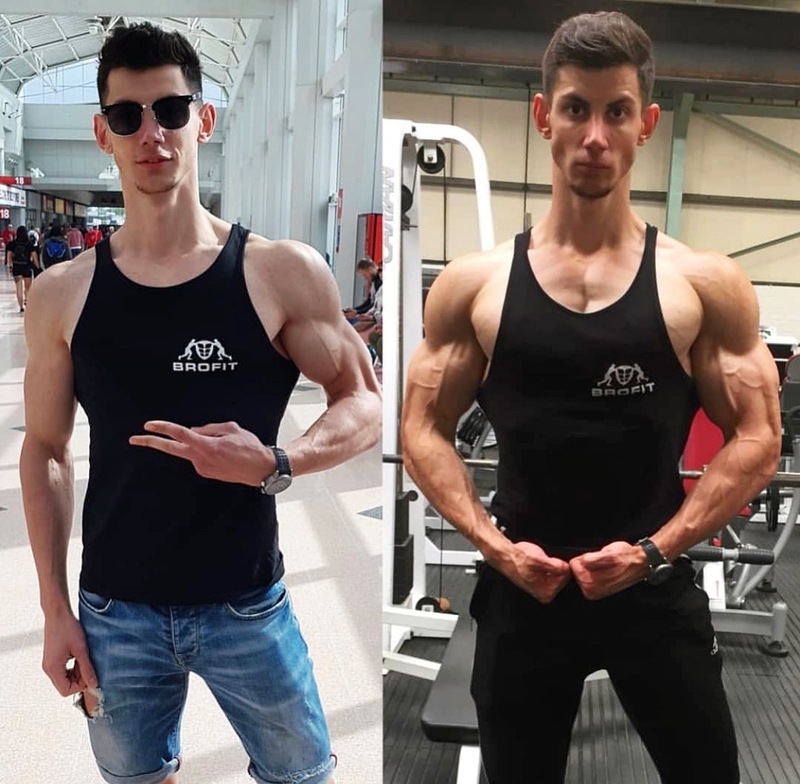 Kane completed a 12 week competition prep with us for his first UKBFF junior physique show - as you can see from his pictures he completely changed his body composition! Kane prepped for his show around difficult working hours (often night shifts), managing to fit in his cardio and prepare his meals. Consistency won in the end and Kane nailed his prep bringing a very conditioned look to the stage, which we are very proud of. 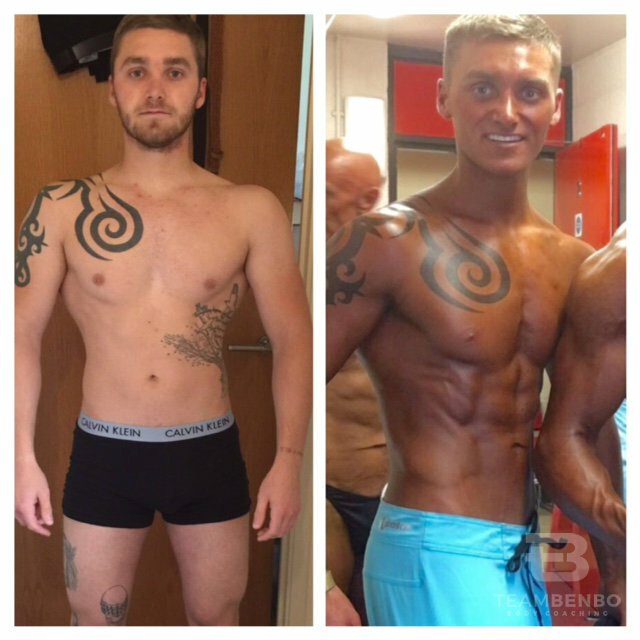 Alex - after a 16 week contest prep leading into the UKBFF West Midlands Championships 2016 - where he placed third and received an invitation to compete at the British Finals. 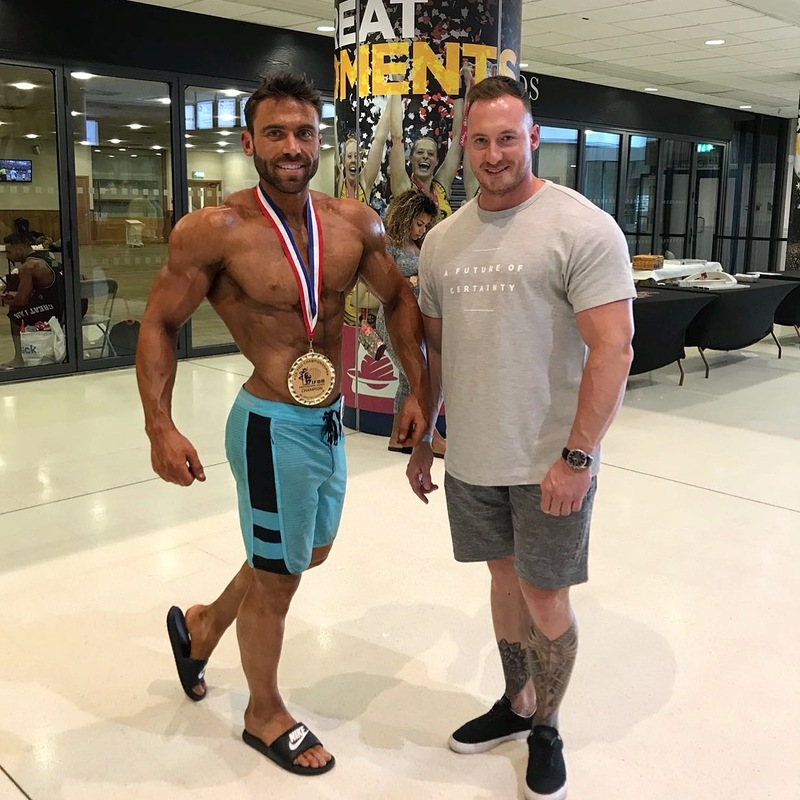 We had to work closely together to achieve his stage condition, which worked very well - getting Alex his first top 3 placement in his second year of competing as a junior bodybuilder. Alex has a big future in the sport and I wish him all the best of luck. It has been a pleasure coaching him from his first prep in 2014 to the present. 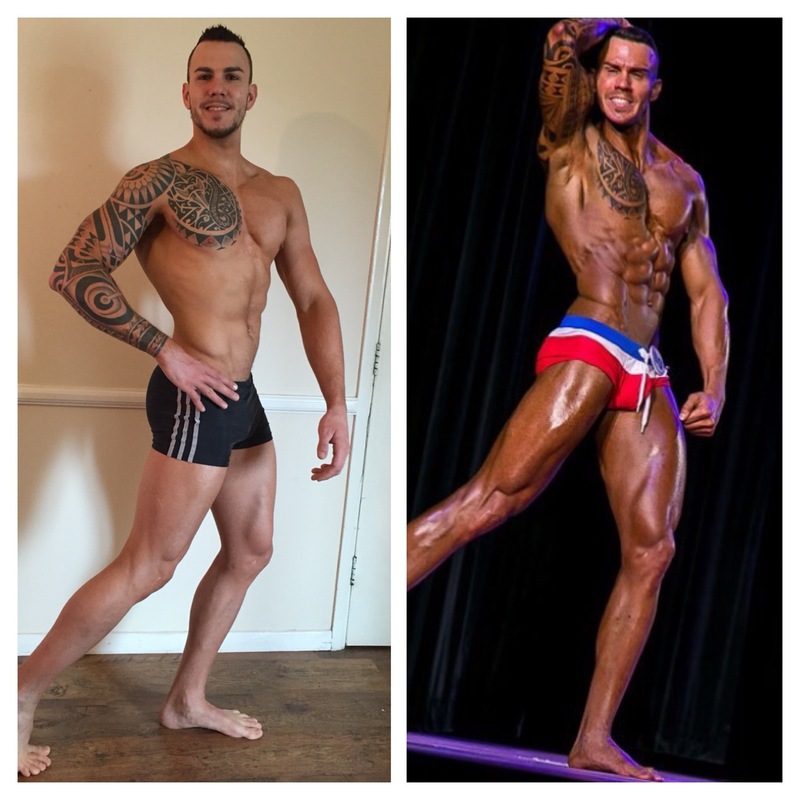 Nic after his first Jnr Physique show where he placed top 3 and qualified for the UKBFF British Championships 2015. 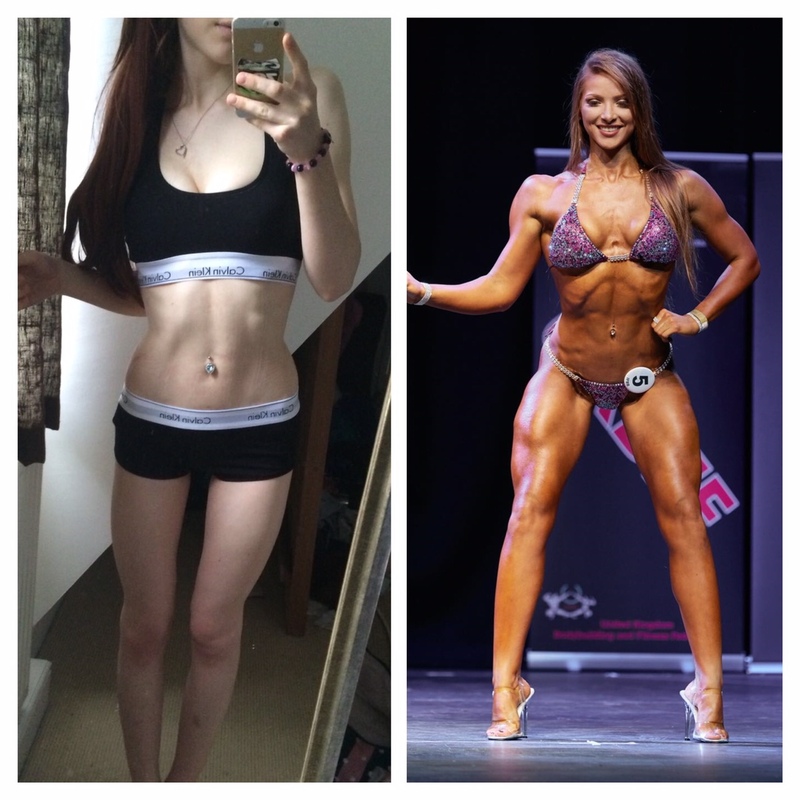 Chloe's 8 week transformation for her first UKBFF junior bikini competition. Chloe was well into her training before she came on board with Team Benbo, but always wanted to get in condition for a bikini show. We coached Chloe across an 8 week period with weekly check-ins, then daily check-ins on peak week leading up to the show. 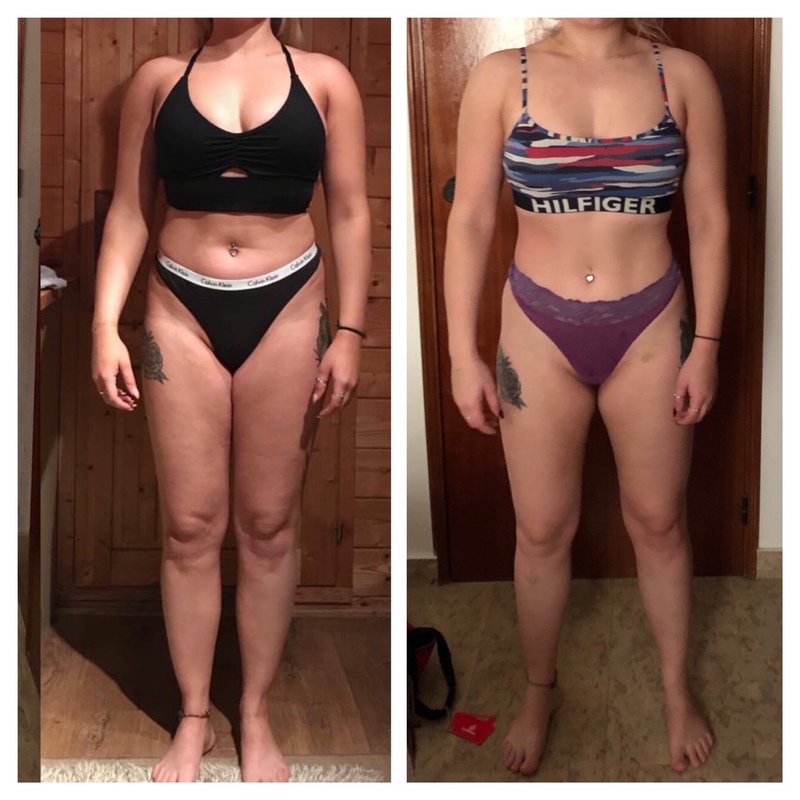 As you can see from the pictures Chloe increased her lean muscle whilst decreasing her body fat percentage enabling her to have a great first showing in her bikini competition. We are very pleased with Chloe's results and look forward to working with her in the future if she wishes to progress into more competition. 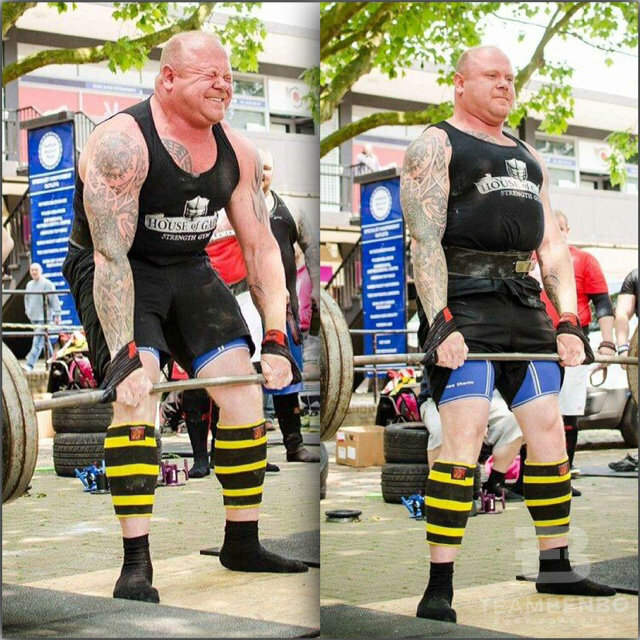 Pat reached his goal of competing in 2016 after fighting personal battles of losing two close family members in quick succession. Through busy working weeks and people telling him he couldn't do it - Pat proved people wrong against all odds. 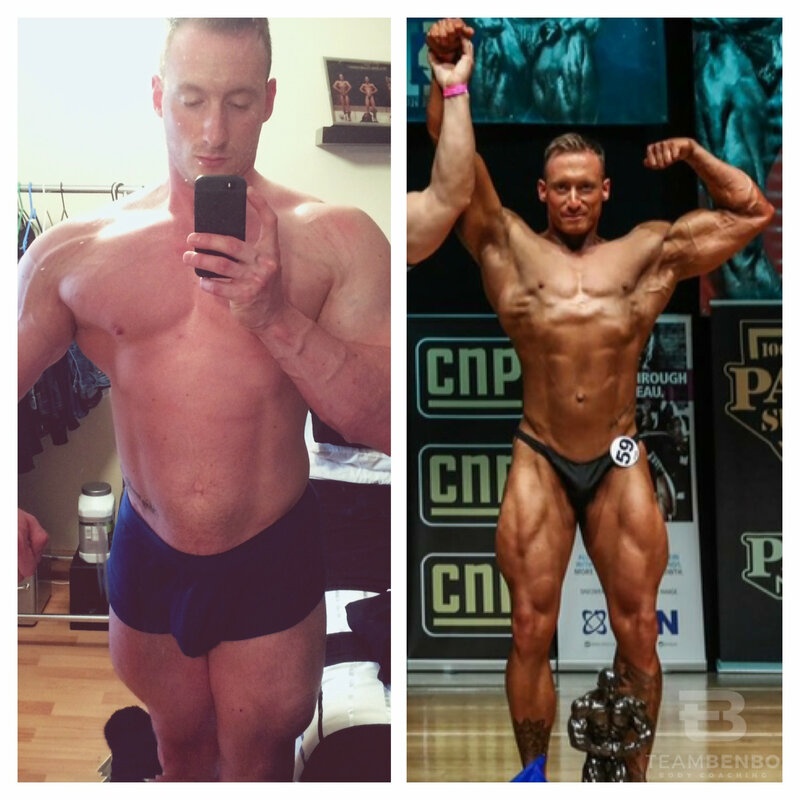 Pat changed his body composition through hard training, planned nutrition and true determination. 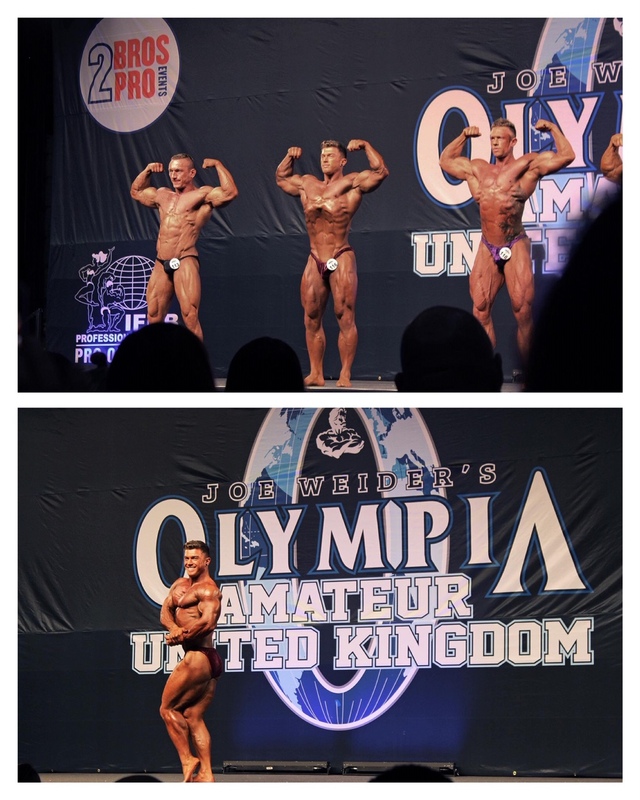 It was a proud moment to see him compete at the UKBFF Sugar Classic in Men's Physique. We look forward to working together further in the future. My client Paul Guest, war veteran and Invictus games GB athlete. Pic 1 from 2 years ago weighing in at 23 stone 2lbs. Pic 2 from today 14.4 stone 8 weeks out from the Toronto Invictus games. After 6 weeks of personal training and following a tailored program Carol has dropped 15lbs and is enjoying her new lifestyle! More energy, improved fitness, increased body confidence and self esteem. Thanks so much for sharing your progress Carol. dropped body fat whilst working a job in the city and still having cheat meals with her fiancé. Sophie's due to get married in two weeks and has had to have the dress changed from a size 10 to an 8. Ladies don't need these fad diets that are out there now with extreme weight loss promises. Sensible dieting and suitable training will give you the best results every time. The results speak for themselves with this one! Ladies if you want to be supported through a tailored programme that fits your needs - or coached weekly to get the results you want - do not hesitate to contact us. A year ago Nicki was a smoker, had a poor diet and was a size 16 weighing over 13 stone. She is enrolled with online coaching as we speak at week 20. 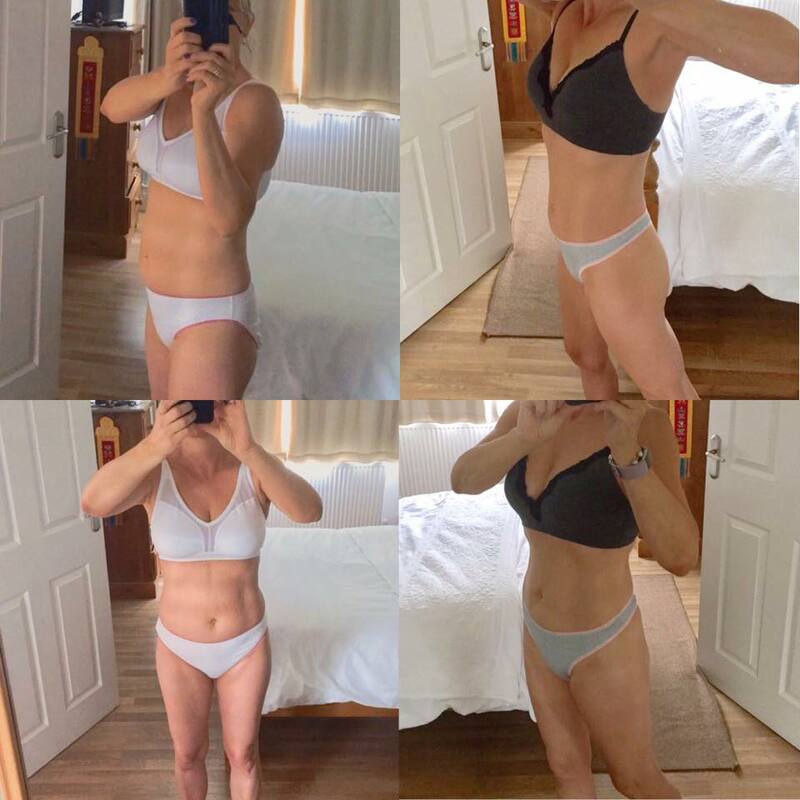 She has transformed her body - reducing her body fat percentage and increasing lean tissue. Nicki has dropped over 16lbs on the scales fitting into size 8 jeans for the first time in her life. 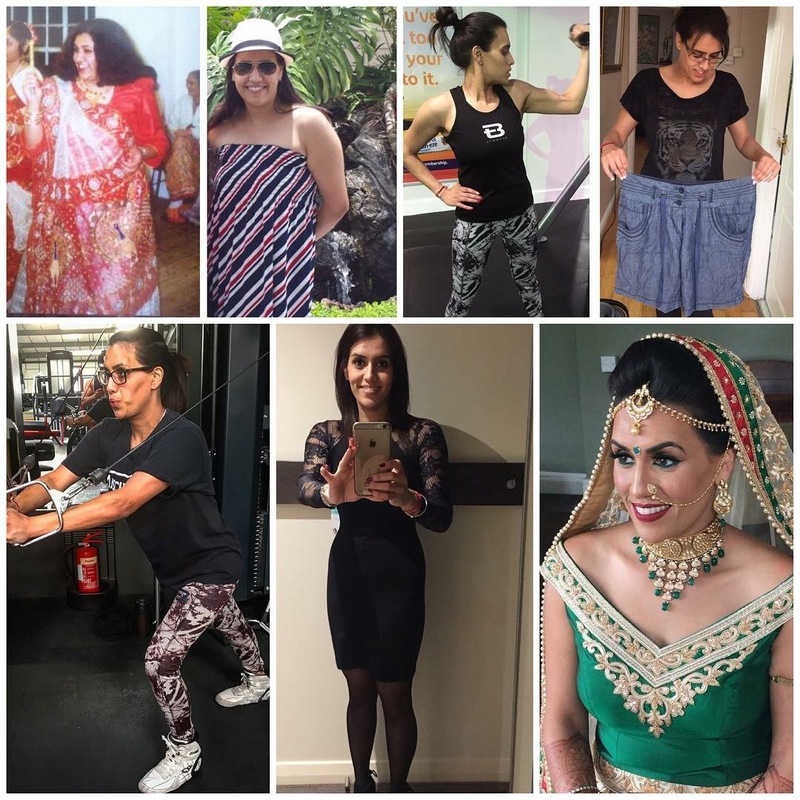 Age 40, Nicki has improved her confidence and self esteem - proving to herself and others that you can achieve life changing results if you put your mind to it. We are very proud of what Nicki has accomplished in 20 weeks so far and look forward to her future results. 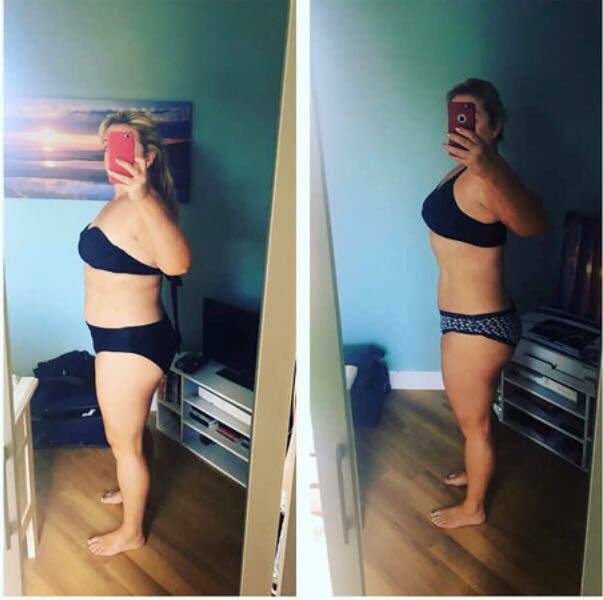 So thankful for my client Tina having the courage and allowing me to share her progress pics. 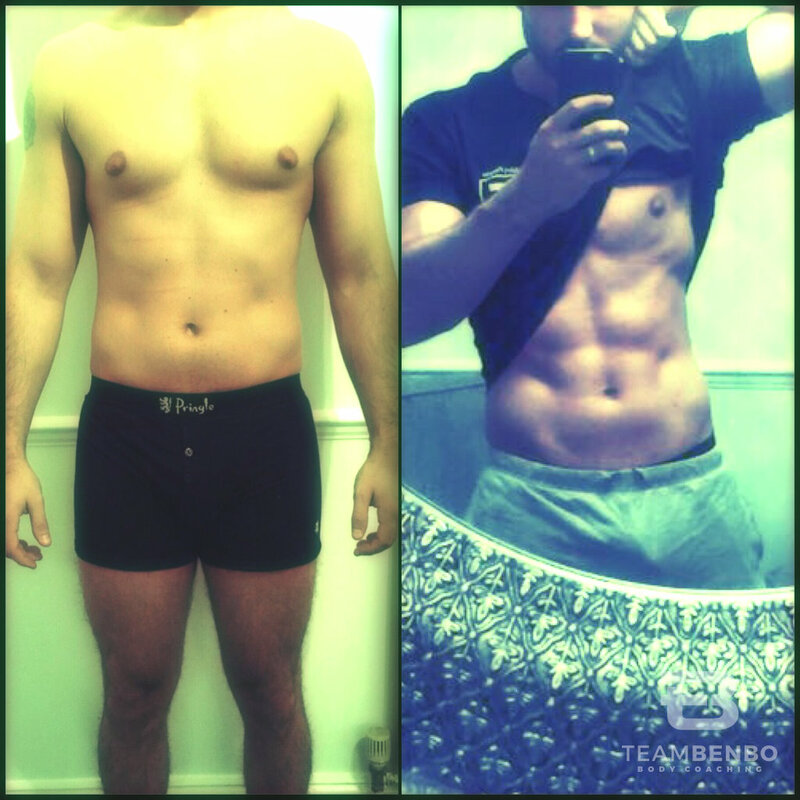 3.5 months of PT and we've dropped 4kg, increasing lean tissue/ strength whilst reducing body fat %. We have improved her knee mobility and rehabbed an injury - aged 53 and an inspiration to us all. Tyler's 12 week results pictures. 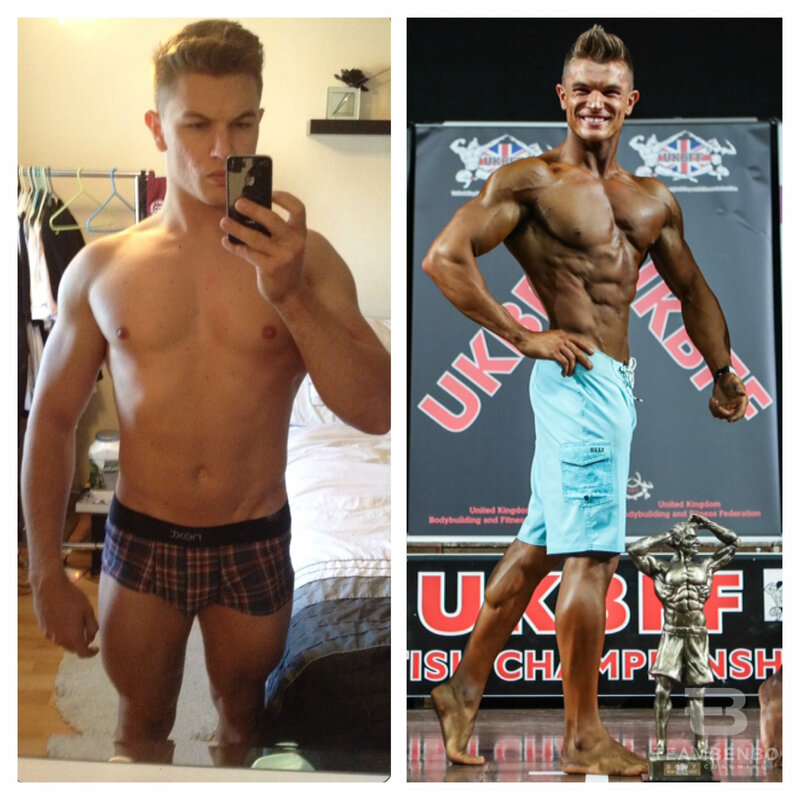 This was for his first competition in UKBFF junior physique! Tyler proves that even with a job, which involves difficult shift hours, a young child at home and other commitments - with the support of your partner and family you can achieve great results and step on the big stage! Very proud of Tyler's results and I know that his goal for 2017 is to progress a good off season and perhaps another show. Glad to have Tyler as part of the team. 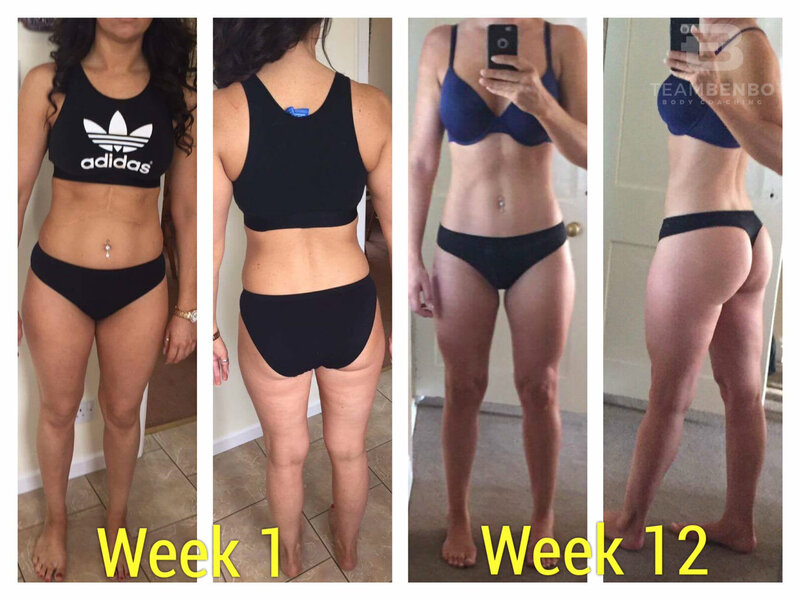 Amy's 12 week coaching results! Age 30, a stone in weight lost, a decrease in fat tissue, an increase in strength and improved muscle tone. 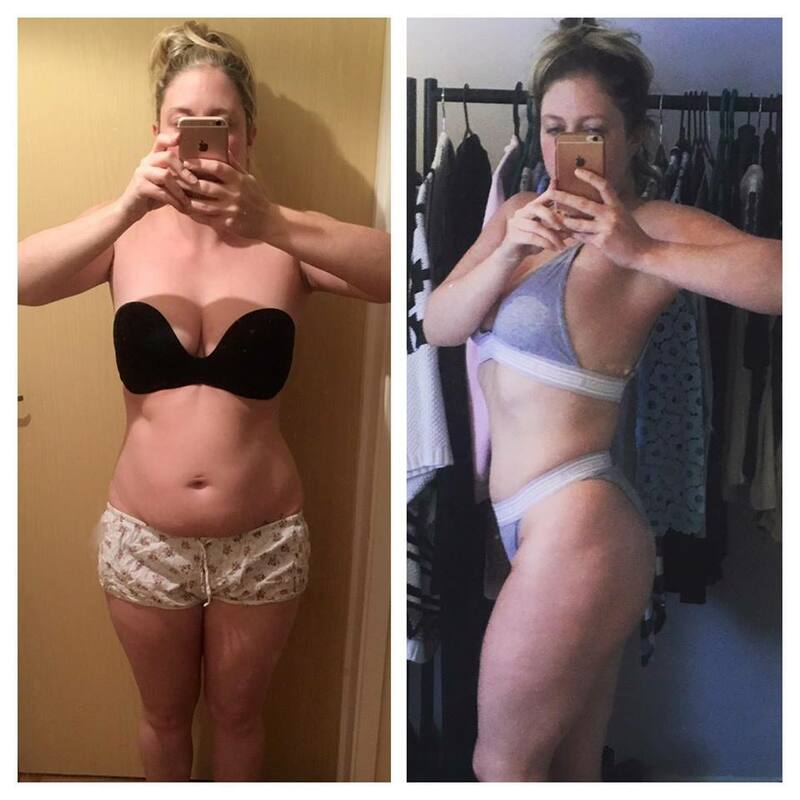 Amazing work Amy, very proud - motivation for all the ladies. 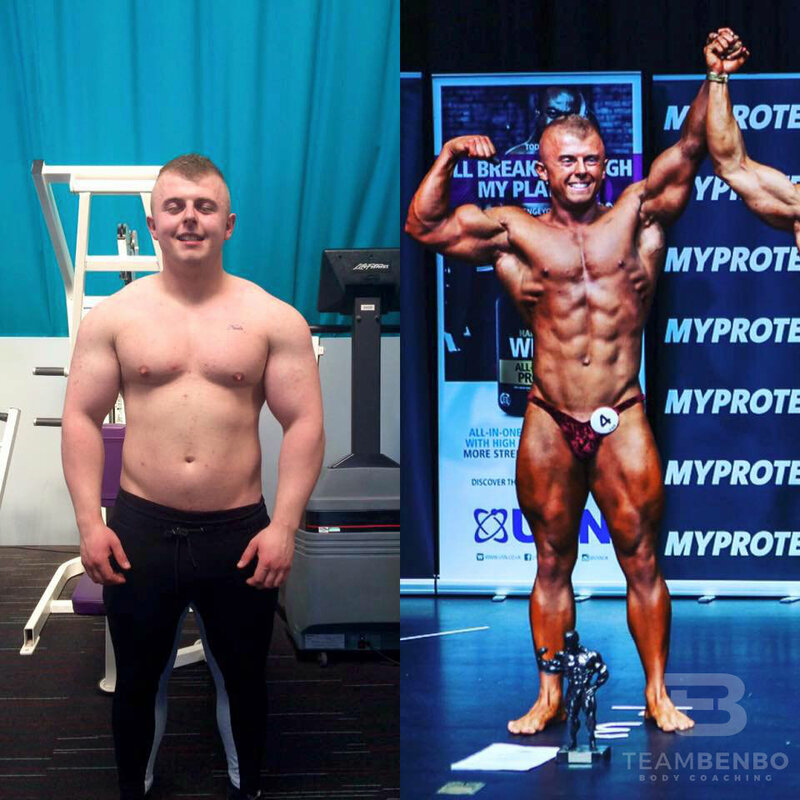 Olly completed a competition prep with Team Benbo to compete at his first UKBFF Men's Physique show; being in tall class Olly managed to drop 3 stone in 15 weeks to peak for his first competition. We had to work on some stubborn body fat areas to get him in the best shape possible and we are very proud of what he achieved. 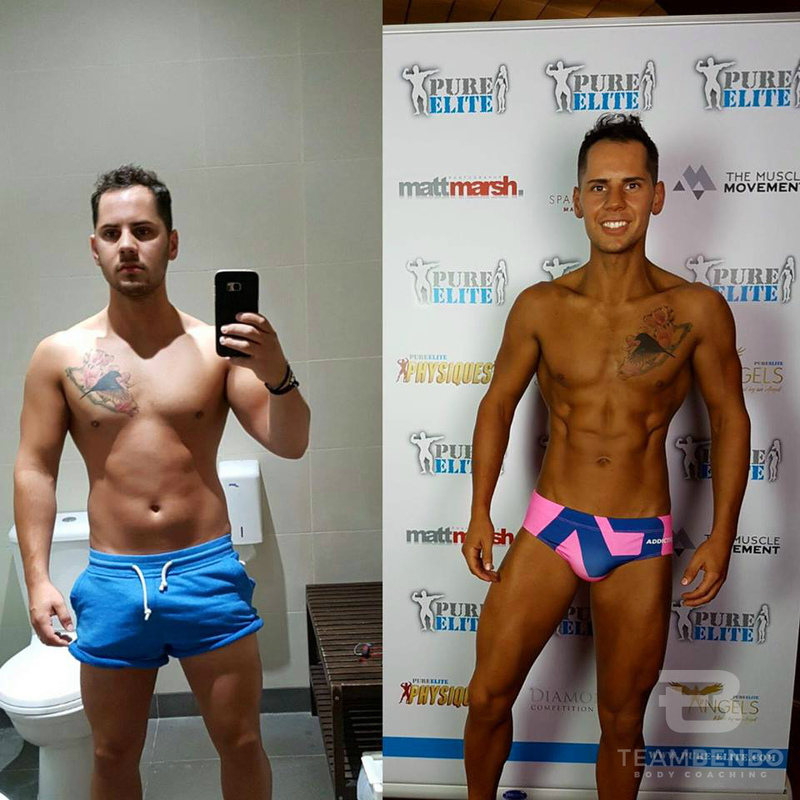 Similar to other clients Olly was well trained in the gym but seeked support to get him on that big stage and I think you'd agree he transformed his physique in a big way! 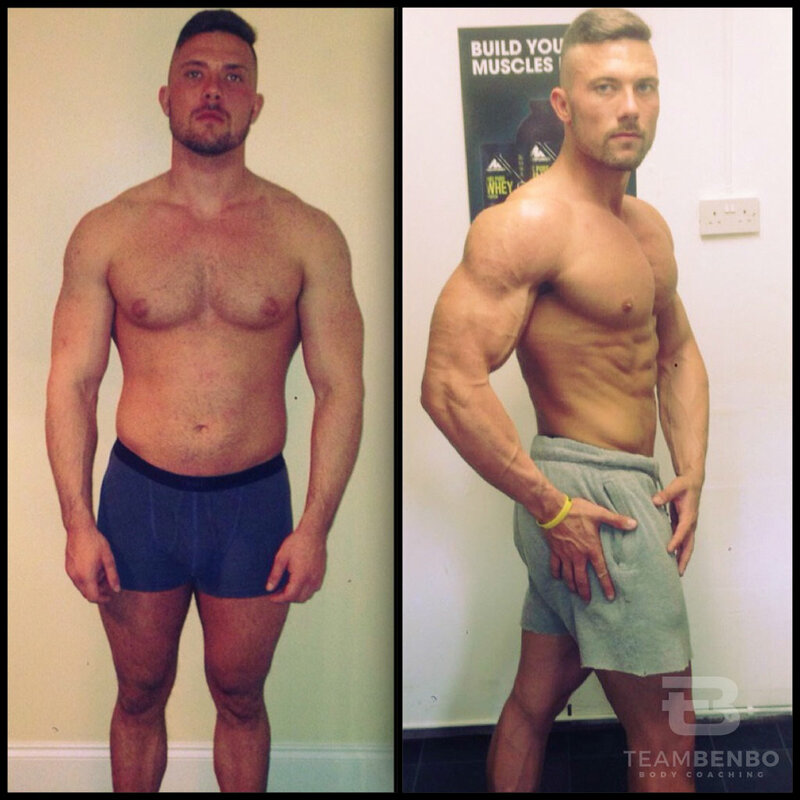 Connor's 24 week progress from 2 x Team Benbo tailored programmes. 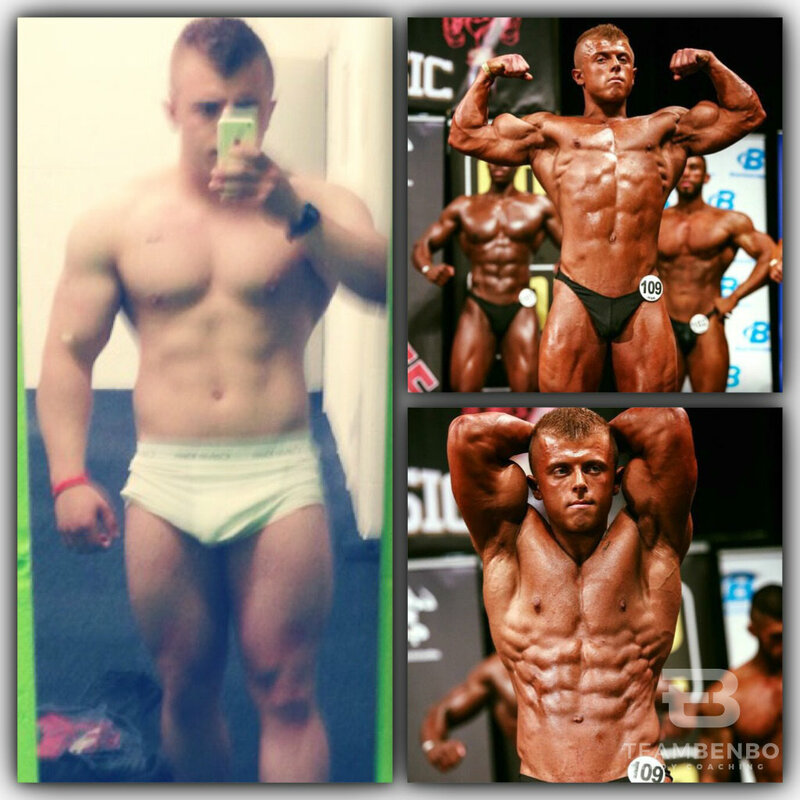 Between the two pictures Connor dropped 7kg in body weight. You can see a significant drop in body fat tissue and an increase in lean muscle. His strength has significantly increased throughout the programmes - and now he is set for his next programme phase - to increase his muscle mass with the intention of competing in the near future. 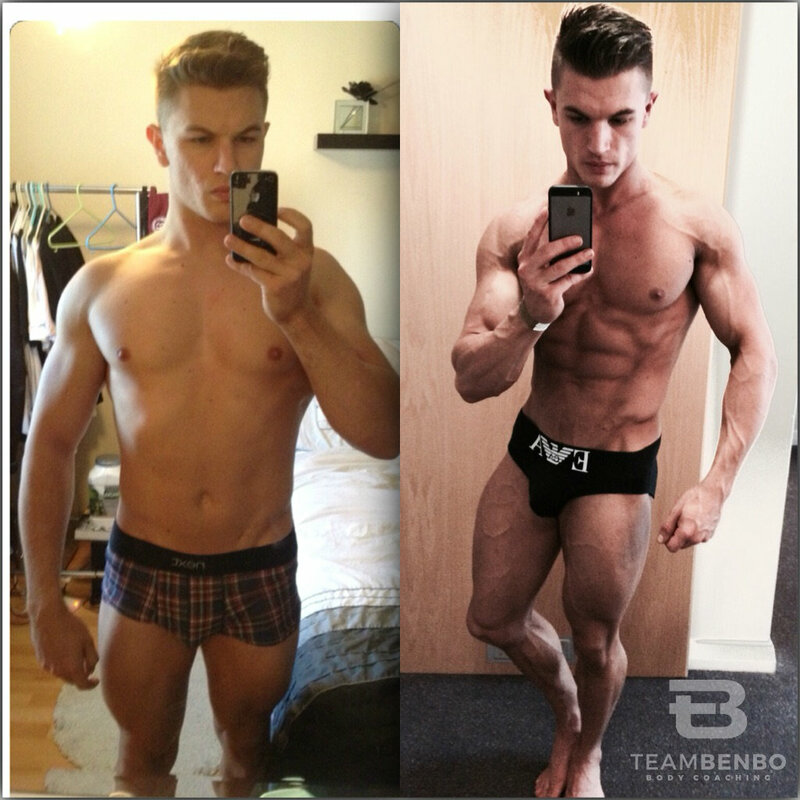 Alex completed a Competition Prep with Team Benbo. It was his first Junior Bodybuilding show at the age of 20. His goal was always to step onto the stage to compete but he was looking for people to look after his interests and support him in that goal. Alex had a great first showing and hit great condition with some tweaking needed towards the end of his prep. We are looking forward to seeing him compete again this year with us. 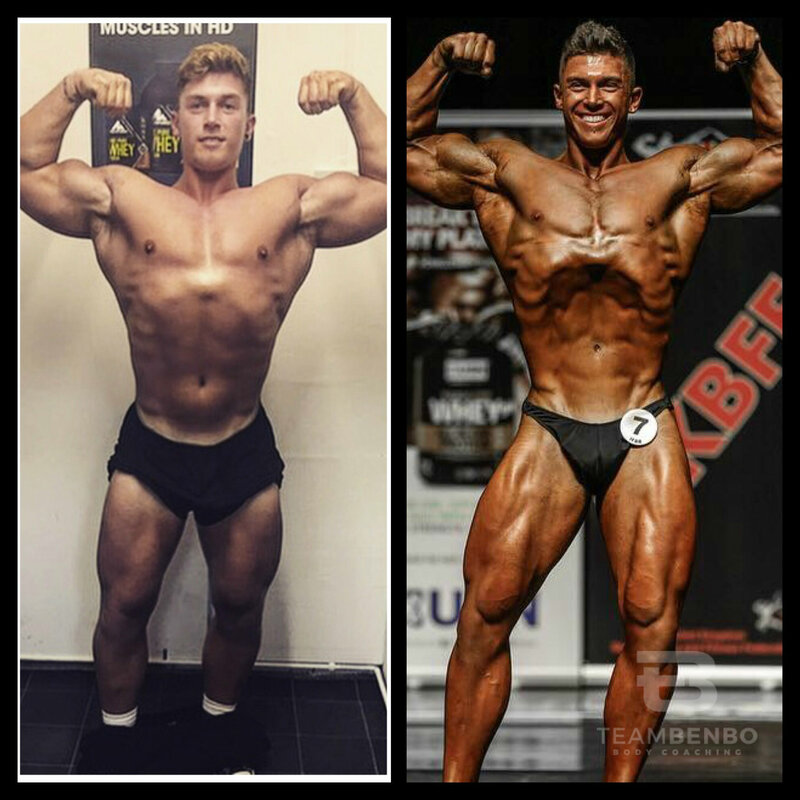 Alex's contest prep in 2017 where he competed in 2 contests (junior bodybuilding) - and qualified for the UKBFF British finals. Steph completed a 12 week tailored programme with us, which was specifically designed for her requirements. As you can see Steph has changed her body shape - and is very happy with the results as she departs for her holiday in the sunshine! Well done Steph - great results. 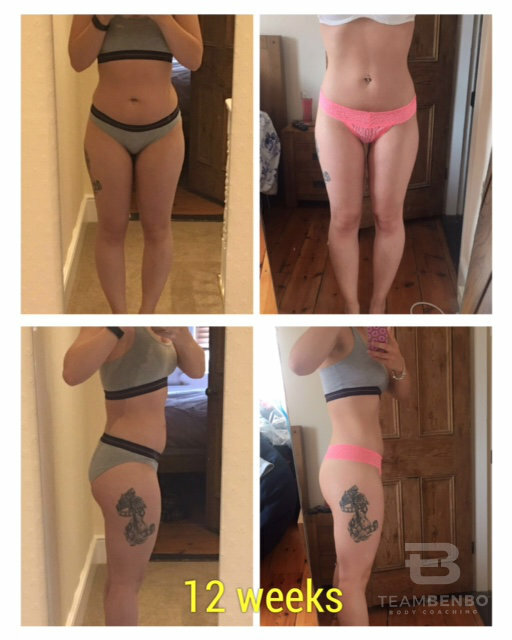 Agnes, after only 6 weeks on a Team Benbo tailored programme. Goes to show ladies - you don't need those FAD shake diets. Small healthy quality meals, some custom home conditioning workouts, an amount of light cardio and occasional resistance work and your body starts to change. Team Benbo will support your goals and enable you to achieve them healthily. 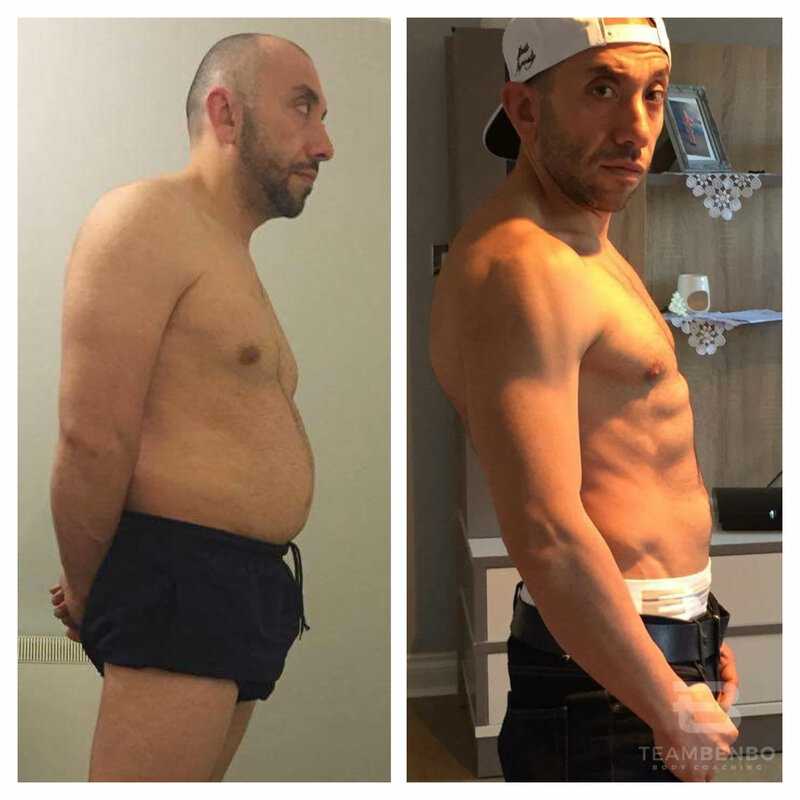 Darius, age 39 - completed a 12 week body transformation with us dropping 10kg in weight - 81kg to 71kg. Darius has increased his lean mass, whilst decreasing fat tissue. His strength and fitness has greatly improved over the 12 week period and we even managed to improve his posture alignment and rehab a neck/ rotator cuff injury. Very proud of what Darius has achieved and really looking forward to working with him some more in the next few months. Lewis initially won a free tailored program taking part in one of our Facebook competitions. He recently had a newborn child with his partner and found himself out of shape and unhappy with his physique. We had to adapt the plan to carry out training on average three times per week due to his other commitments. Lewis has since completed two further tailored programs progressing his physique usually having one cheat meal per week for a reprieve. 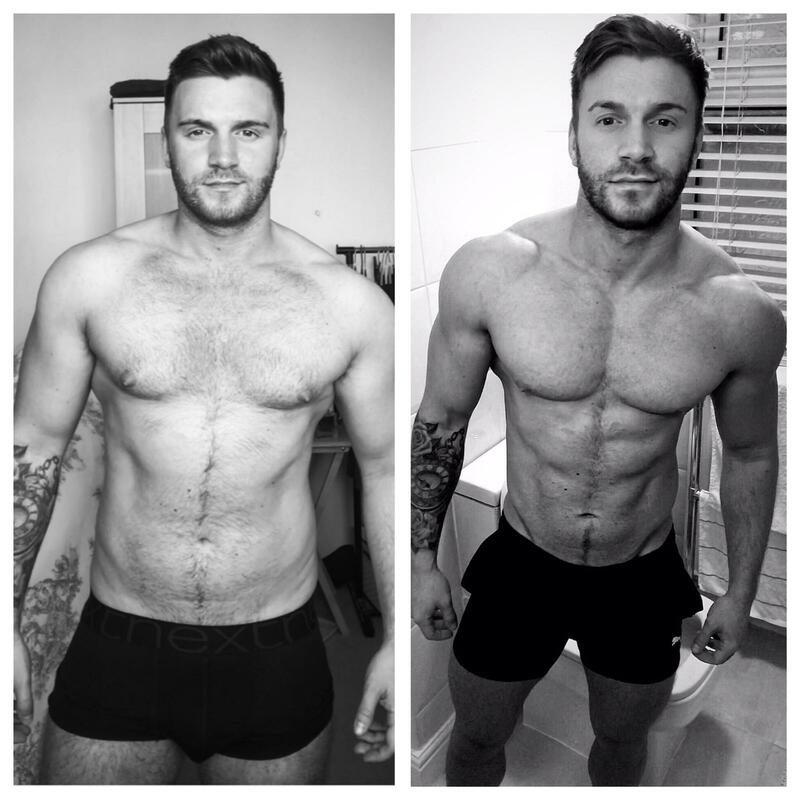 In 6-7 months Lewis has transformed his body losing over 17lbs and improved his lifestyle for the better! Pete approached TeamBenbo with the aim to get his abs out for his 40th birthday. We did this with the online coaching approach taking into consideration Pete's allergies and previous heart surgery. 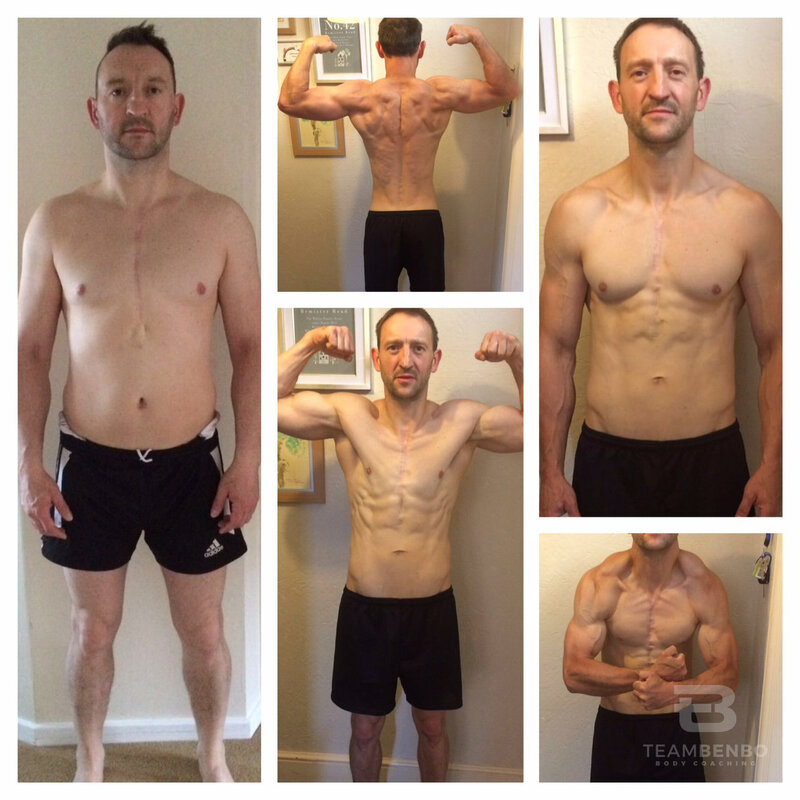 In total it took 13 weeks and Pete worked incredibly hard to achieve his condition! It just goes to show that age is just a number and if you really want to push your body to a new level you certainly can! 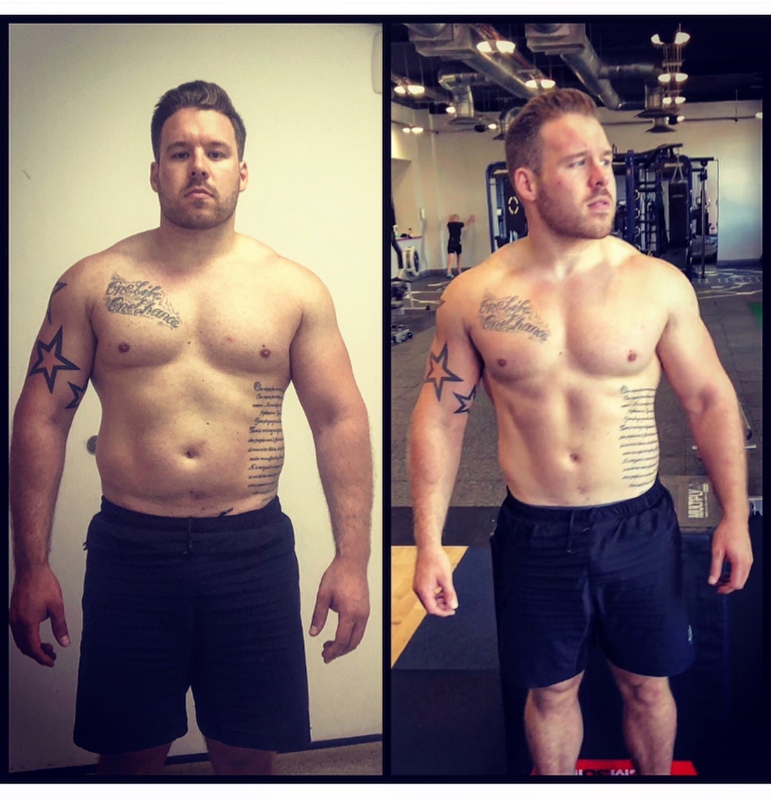 Huge congrats Pete - now onto the next stage of goal setting - your muscle gain program. 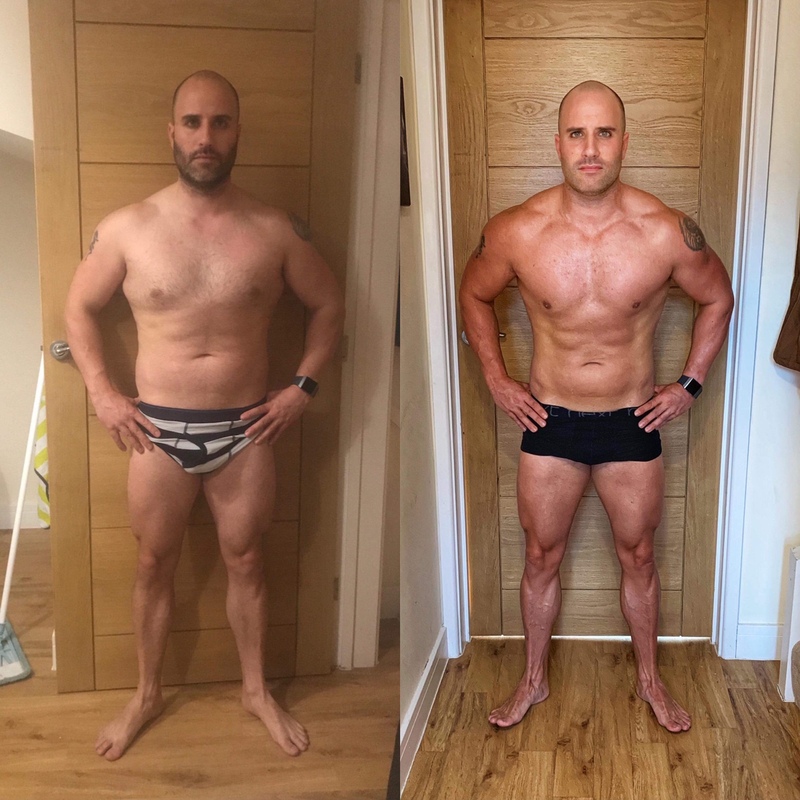 Dan completed a 12 week body transformation focusing on key elements around improving his diet and training to enable his physique to transform. 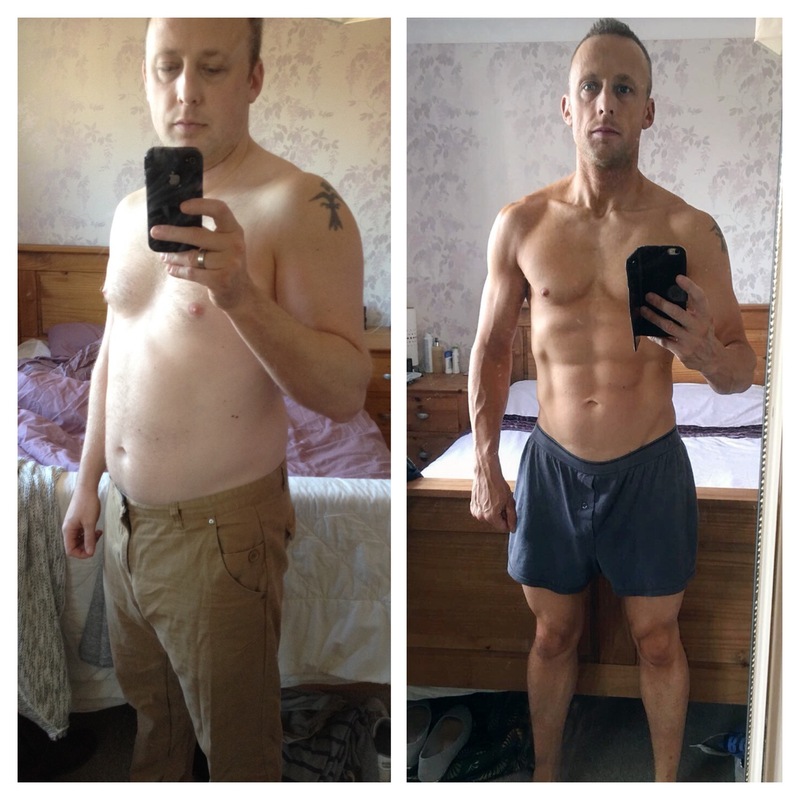 Dan had been lifting weights for years but his goal was to get into the most ripped condition possible within 12 weeks and he worked very hard to achieve his fantastic results. 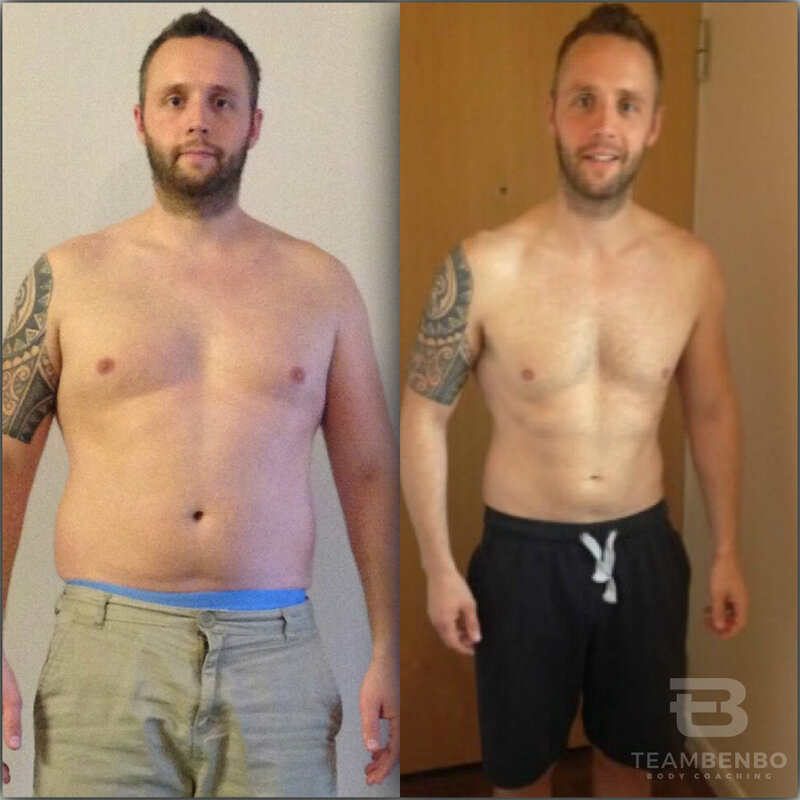 Dan approached Team Benbo intending to get more muscle definition for a couple of up and coming holidays abroad. 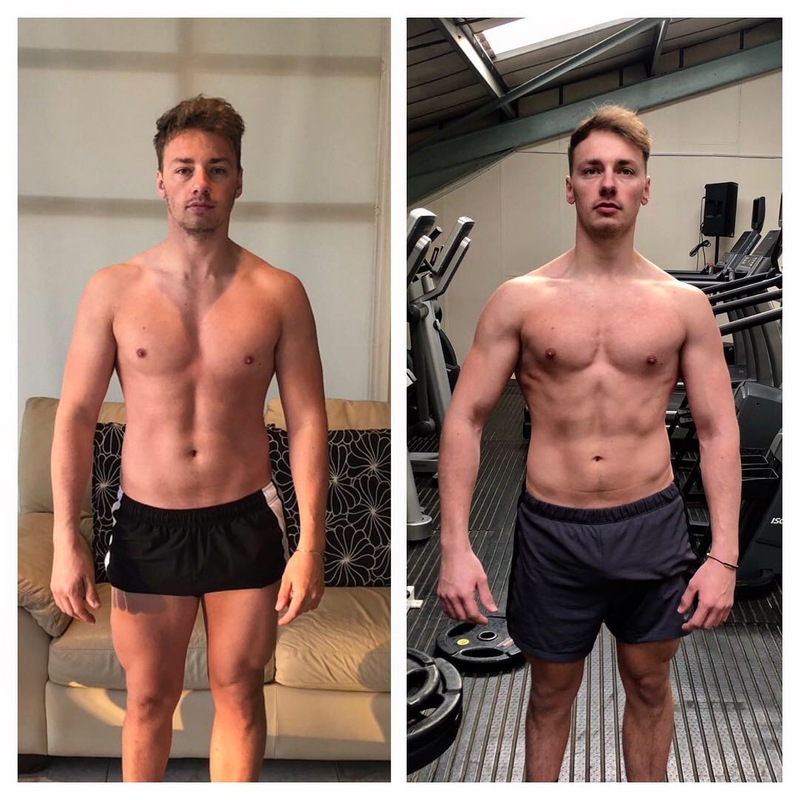 Dan has a very busy lifestyle and would admit that some of the weeks weren't exactly to the coaching plan; however with a favorable balance towards the program Dan dropped his body fat percentage and increased his muscle tissue creating a more defined physique as you can see. 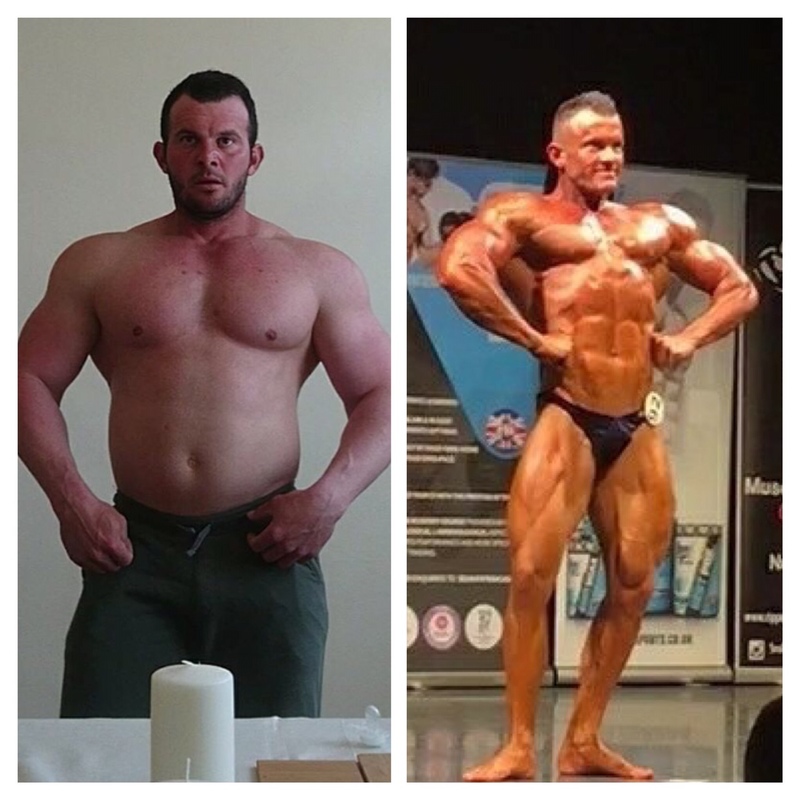 Jakub - after 11 weeks of contest prep. He joined the team to reach a new level of condition and to improve his look from last year's world championship. Jakub won the Pure Elite world championship for the second time in the muscle model category and took the men's overall championship too! 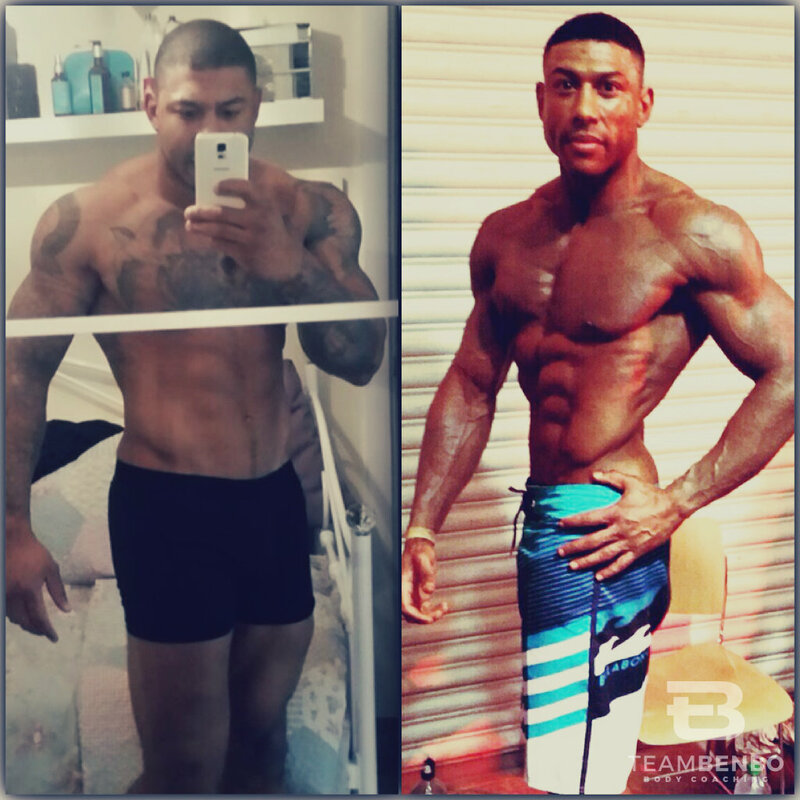 Marlon approached Team Benbo for a Competition Prep; however the show he wanted to enter was only 8 weeks away. Marlon was a well trained person anyway but wanted assistance with getting to the big stage to compete in his first Men's Physique show. We had to get to work pretty rapidly and the results speak for themselves. Marlon worked very hard; 8 weeks wasn't ideal for a competition prep for a first show however I think you'd agree we achieved an awesome aesthetic look for a first competition! Steve completed an 8 week tailored programme with Team Benbo before getting a re-assessment to progress onto a new plan. Steve was unhappy with his shape and had lost all motivation. After receiving a programme from us with some direction Steve found his new love for training and is currently on his second plan as we speak. As you can see from his pictures he dropped body fat tissue and increased his lean mass. An awesome show pic from Tilda at the Ukbff St Albans July 2018 vs three years prior coming out of fighting anorexia. True inspiration right there. Ben - 2014 & 2015 British Championship qualification. 15 weeks contest prep qualifying for the 2016 Ukbff British Championships. My contest prep phase for PCA classic bodybuilding 2017, where I qualified for the British Finals. Harry didn't like the way his lifestyle was going. He openly states he had been suffering with depression and he was keen to make big changes. I'm so glad he made contact with us to take part in a tailored programme. 12 weeks later and Harry is 2 stone 2lbs lighter with increased fitness, strength and muscle tissue. I can't wait to work with further with Harry progressing his goals. An amazing collage of pics showing Kajal's transformation journey to her beautiful wedding day. 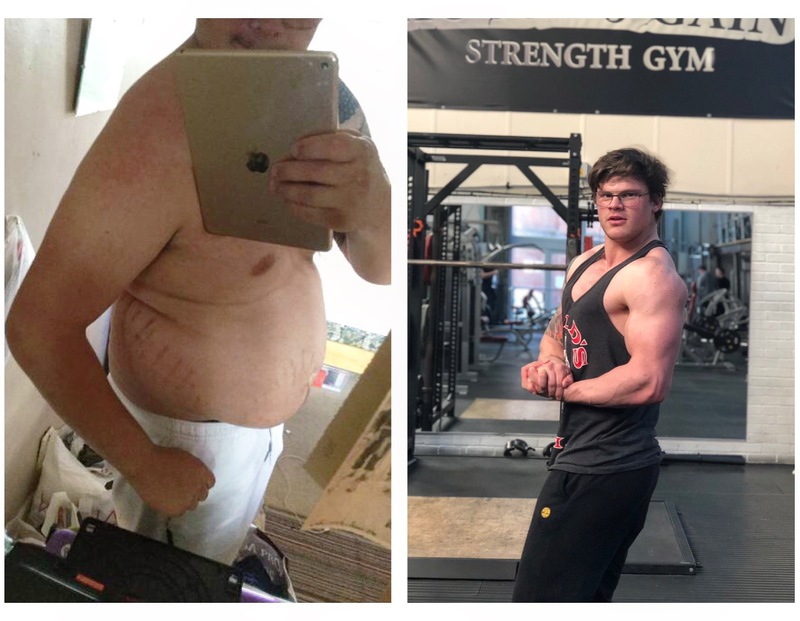 I met Carl in the gym and we shared the same passion for bodybuilding - I found out that one of his goals was to do a show but he didn't really believe in himself. 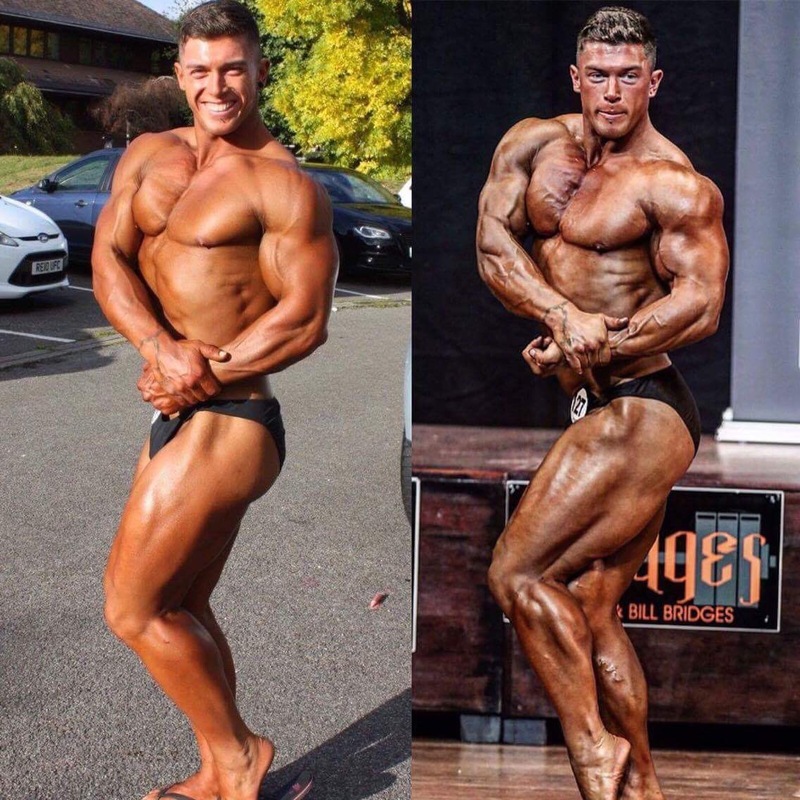 I convinced him to do a competition under some coaching guidance and this is what happened...Carl won his junior bodybuilding show at the Pure Elite Hayes show receiving his pro card. At only 23 years old it's clear Carl has a very bright future in bodybuilding. It was a pleasure seeing him reach his full potential during his first contest prep. 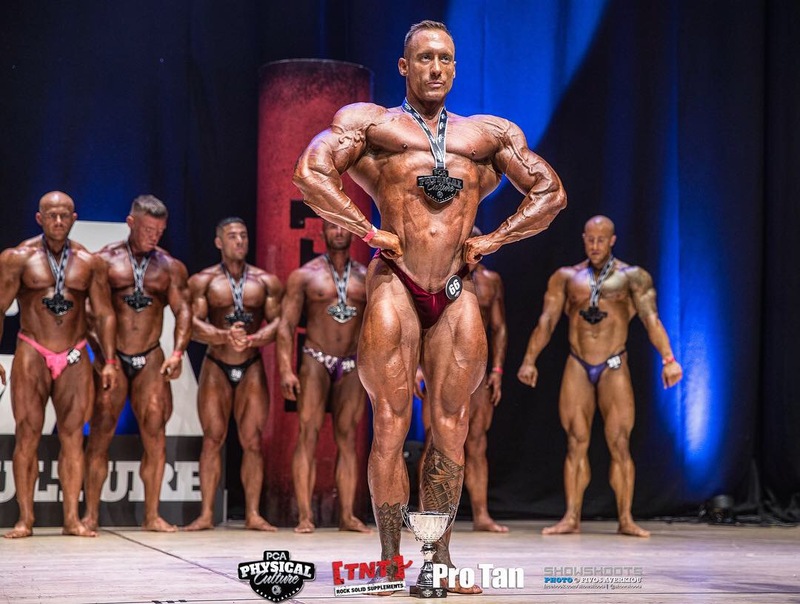 Carl progressed from his Pure Elite bodybuilding win to his UKBFF debut at the Sugar Classic Championships. Carl placed second in an incredible class of juniors - receiving an invitation to the Arnold Classic Championships in Barcelona for 2017. 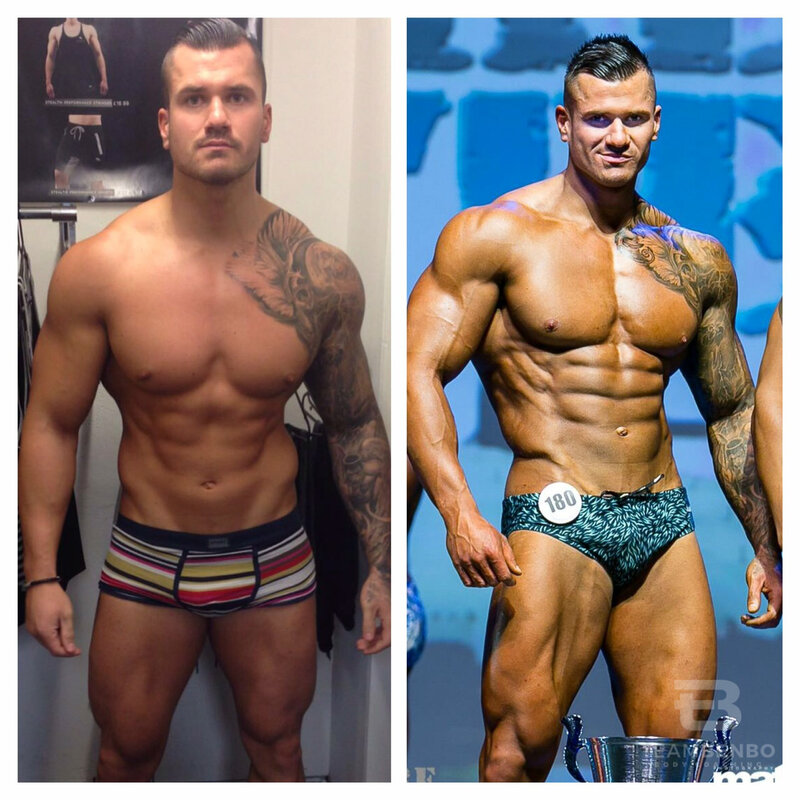 Carl's 12 month progress from year 1 of competition to year 2. Now that's what I call a year of hard work! In year 2 Carl has gone onto compete at the Arnold Classic Europe and then placed 4th in the UK at the UKBFF British Finals. 12 weeks between pictures on Carls 2018 prep for the 2bros Amateur Olympia. Grant changed his life around and fulfilled his goal of competing in a fitness model show. The transformation was slow and methodical - but as you can the results were incredible! Grant took a 4th place trophy in his first show and is now looking to progress his physique to compete in future fitness shows. Motivation to all the ladies out there! This is our fantastic team member Kajal - we have been working together for 16 weeks now. An incredible drop of over 8kg and improvements in cardio fitness, strength and muscle tone. Kajal states she is very happy to go and buy size 8 clothes now and has much more confidence/self esteem. Huge well done - very inspirational. Chris and I have been working together on and off for 2-3 years now. Through tailored programs and then more recently a contest prep phase where we managed the best shape of his life at 38 years old for the Pure Elite Worlds. 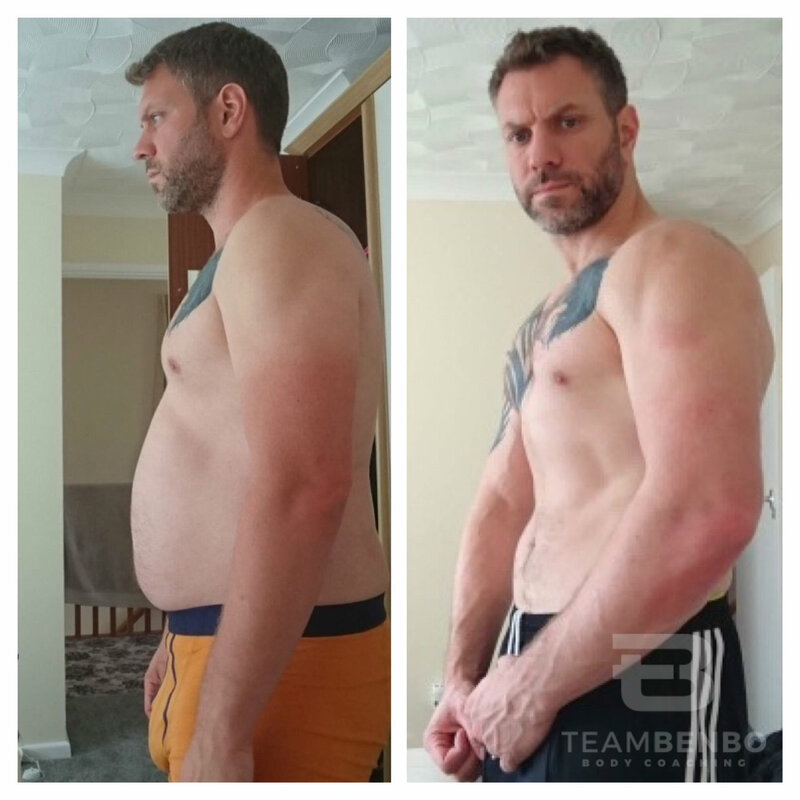 Having two young kids and working shifts wasn’t always ideal but through hard work and determination Chris achieved amazing results and has completely changed his lifestyle. Tom competed at his first fitness show at the weekend. 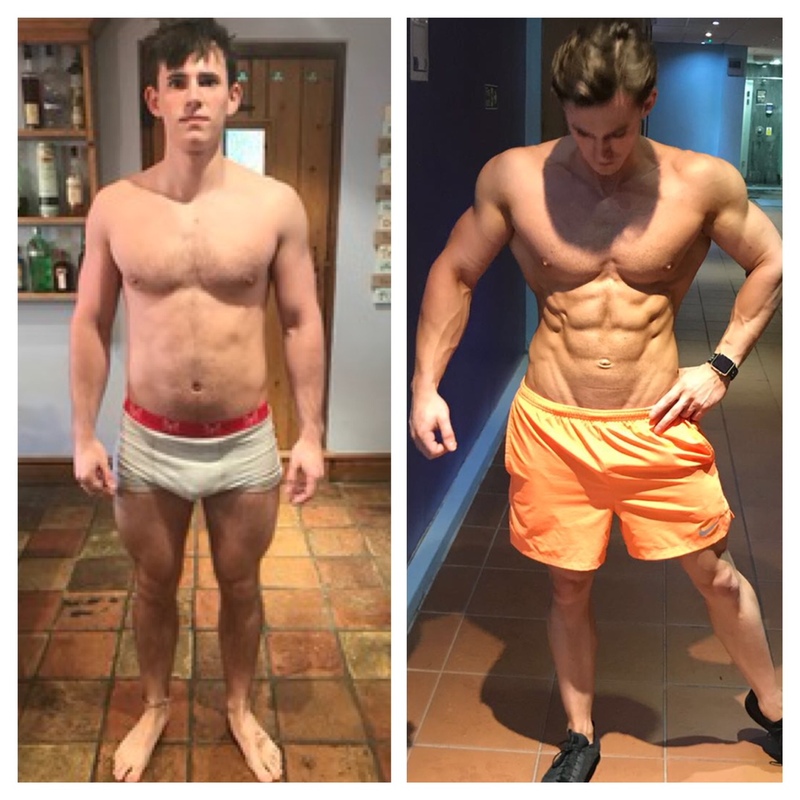 We worked together for 16 weeks to achieve his amazing transformation. Tom actually dropped 15kg in the end! Amazing what the body can do. Tom is keen to progress his physique further and I look forward to following his journey. His work ethic is crazy & at only 21 years old. Big things for Tom to come I promise you that. Tom placing in UKUP mens physique and muscle model categories qualifying for the 2017 British Championships. 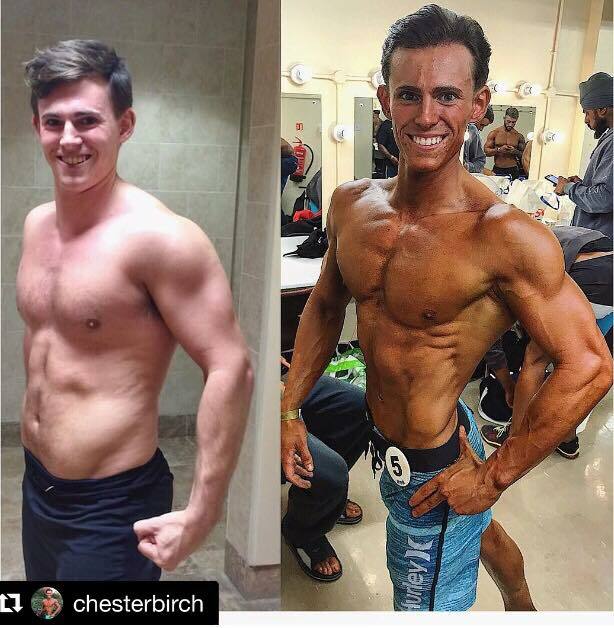 Tom placing 5th at the UKUP British finals in mens under 80s fitness model category at only 21 years old. Troy competed in his first fitness show recently fulfilling a goal he has had for a long time. He over came self doubt & fears & put everything into practice to step out on stage. 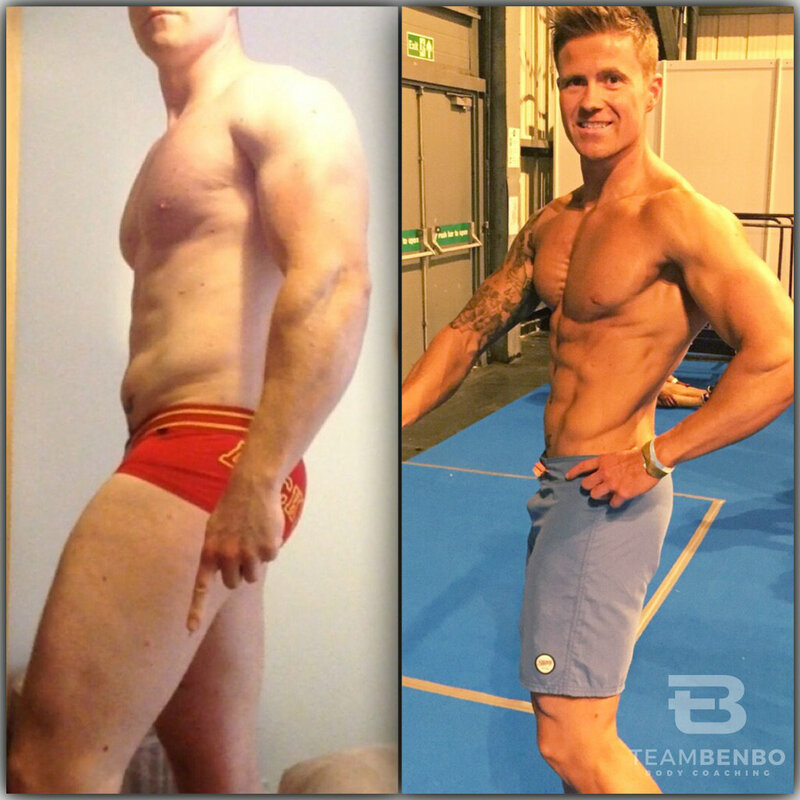 Huge well done mate & look forward to working with you to progress your physique to the next level. 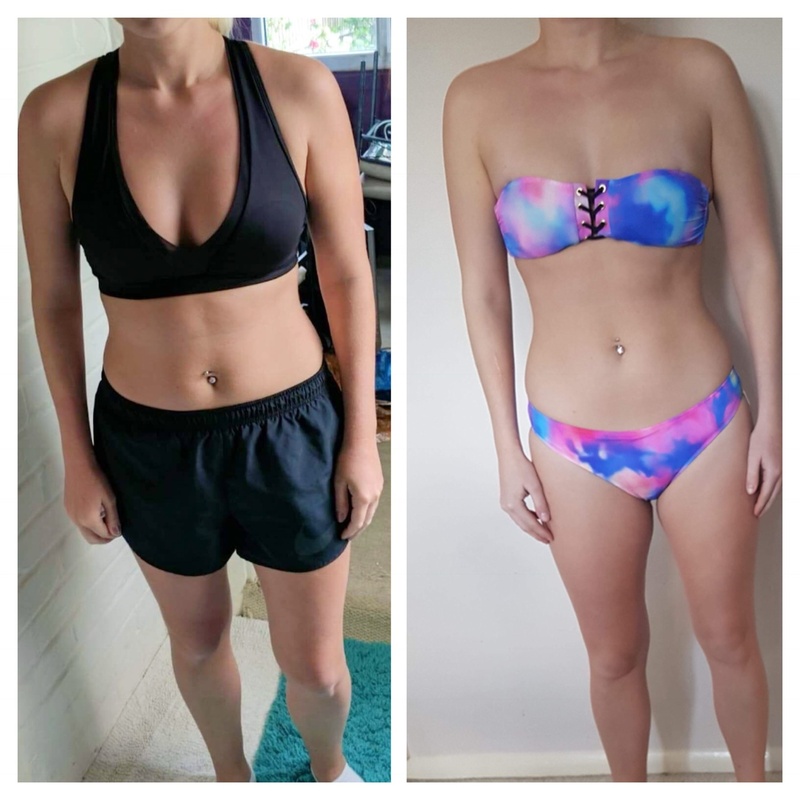 Great work here by Kat - after 8 weeks of personal training and following a tailored program to suit her needs. Single Mum - and smashing it! 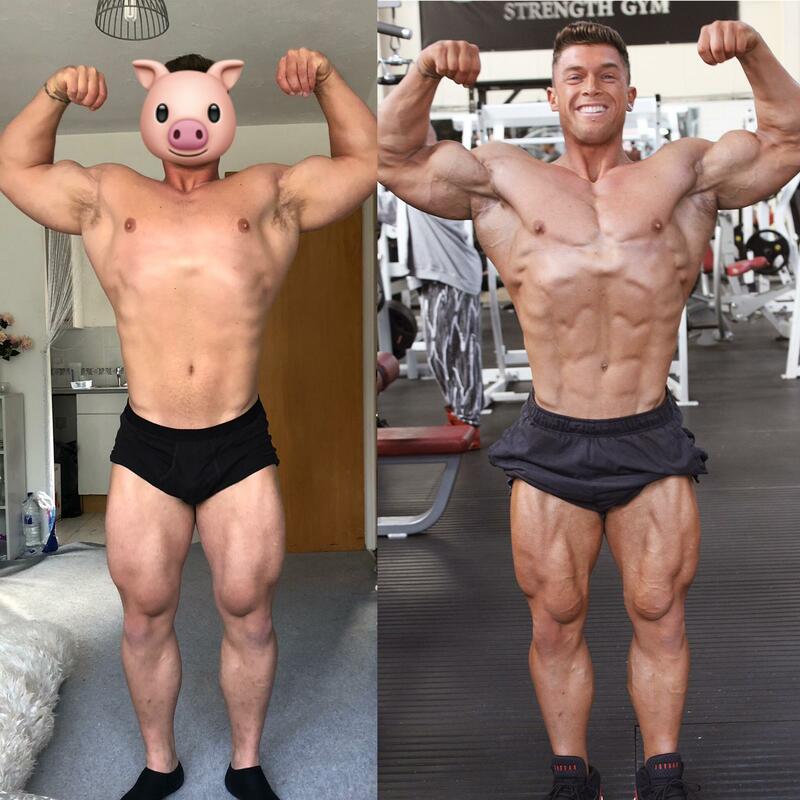 Chester's amazing transformation after his first competition prep where he went onto compete at the UKBFF British Finals. A pic to show the progress made working with Chester towards his goals. Ash's competition prep transformation for junior body fitness. 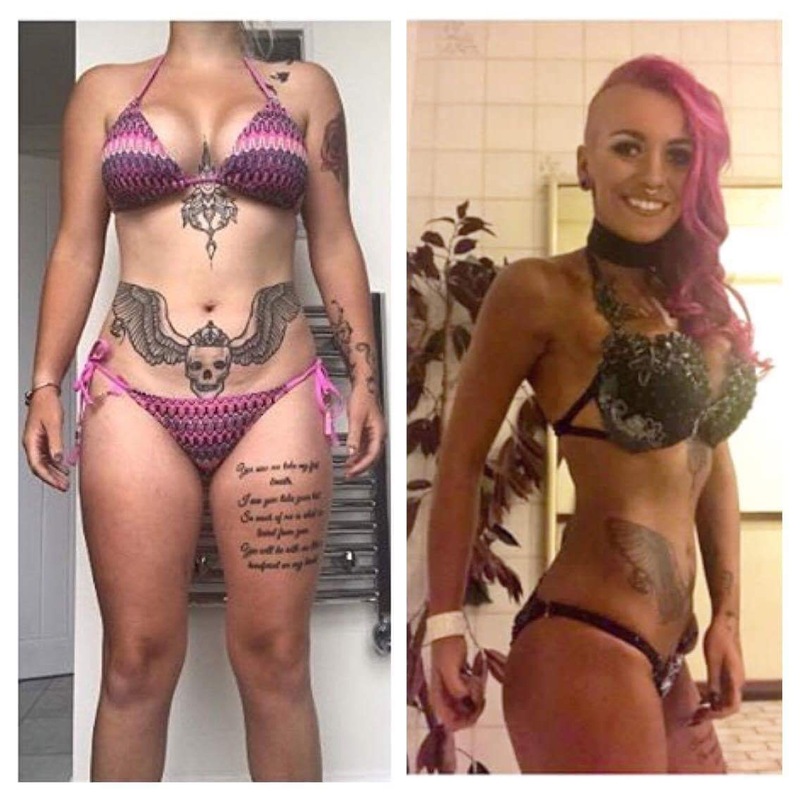 At 22 years old Ash had to work amazingly hard to achieve these results coming from bikini fitness class in 2016. 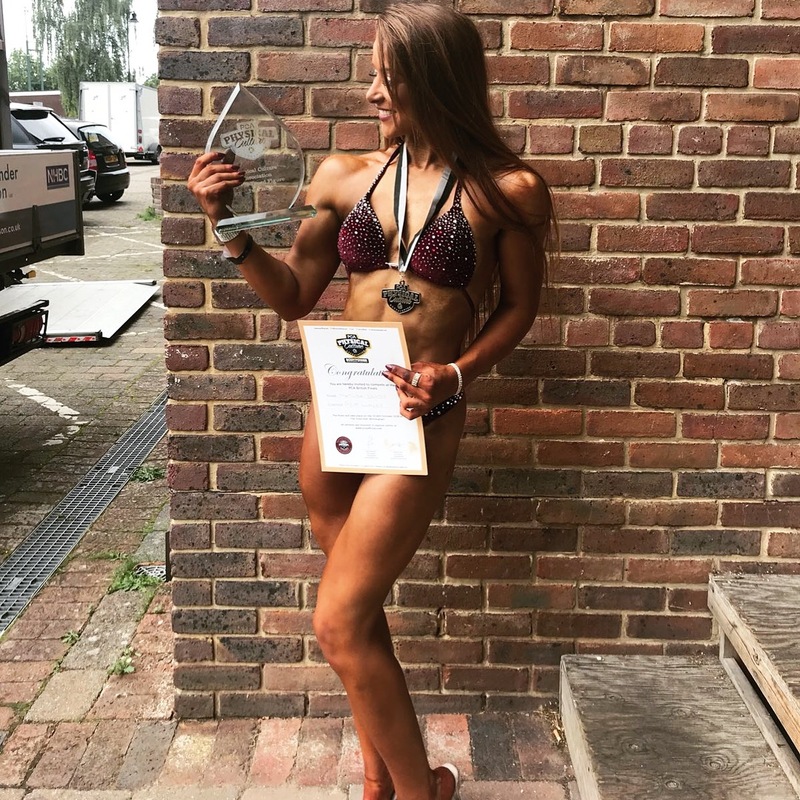 Ash placed top 3 at the UKBFF Kent Klassic and qualified for the British Championship. Emma's amazing transformation for her first bikini show at the Pure Elite diamonds where she placed fourth out of 8 great ladies. At age 38 Emma only recently got into resistance training 6 months ago and then set her sights on a show! Emma always had low body confidence & this whole journey has given her greater self esteem & a new passion. 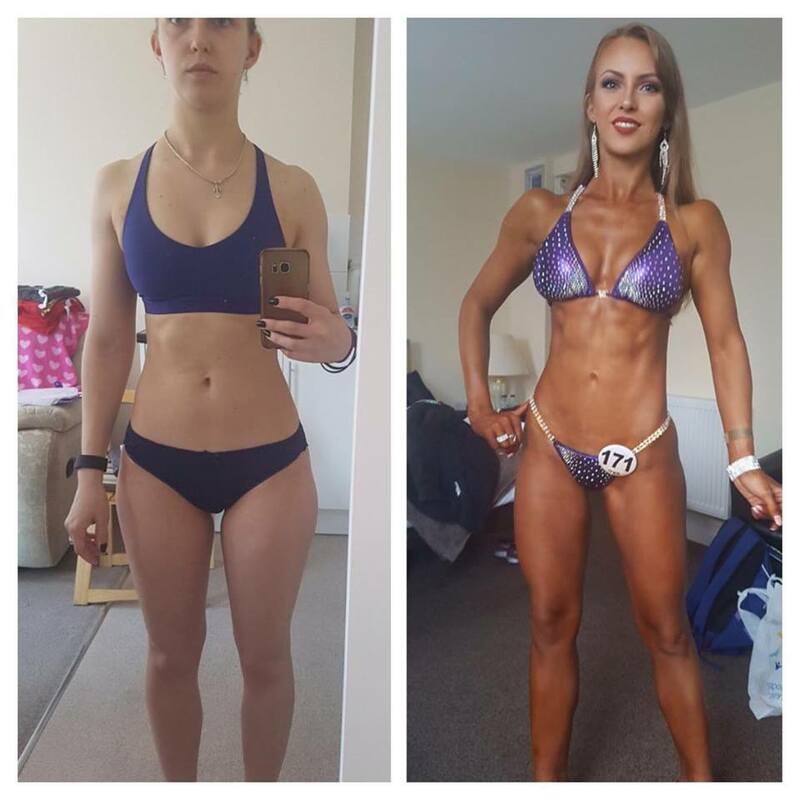 Maria with her amazing progress to the stage for the UKBFF Midlands 2017. Maria brought her best stage condition & presence to date so we're very pleased with that. 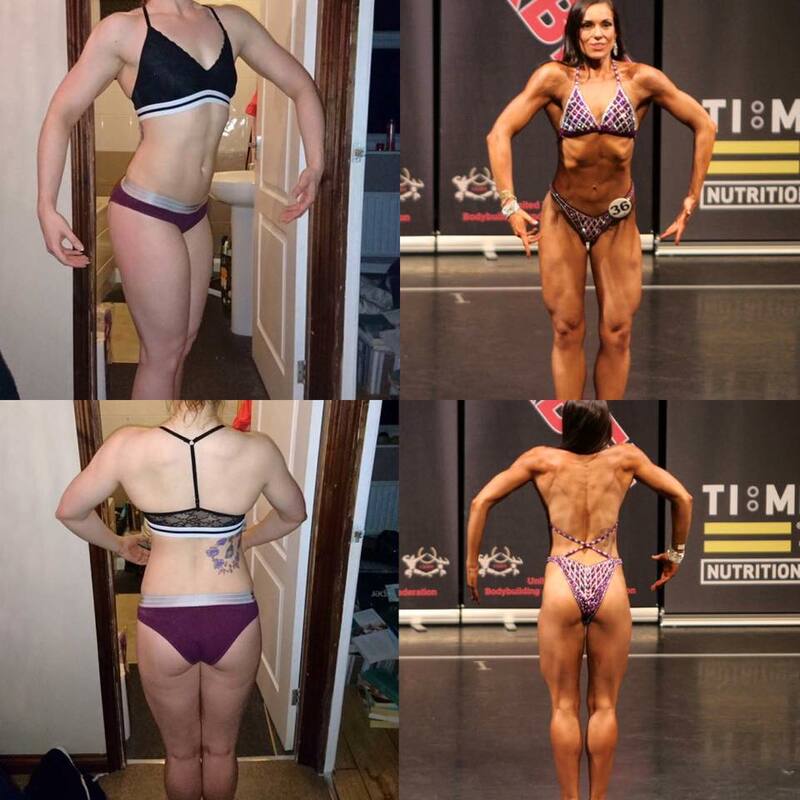 Off season progression now for Maria as she prepares to improve muscle development for next years competition season. 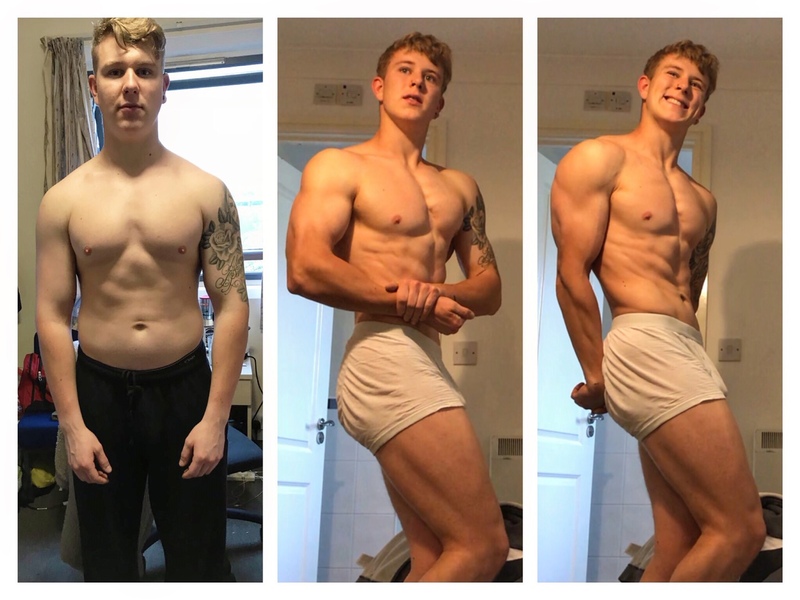 Alex showing his 12 month progress from junior mens physique category to junior bodybuilding. 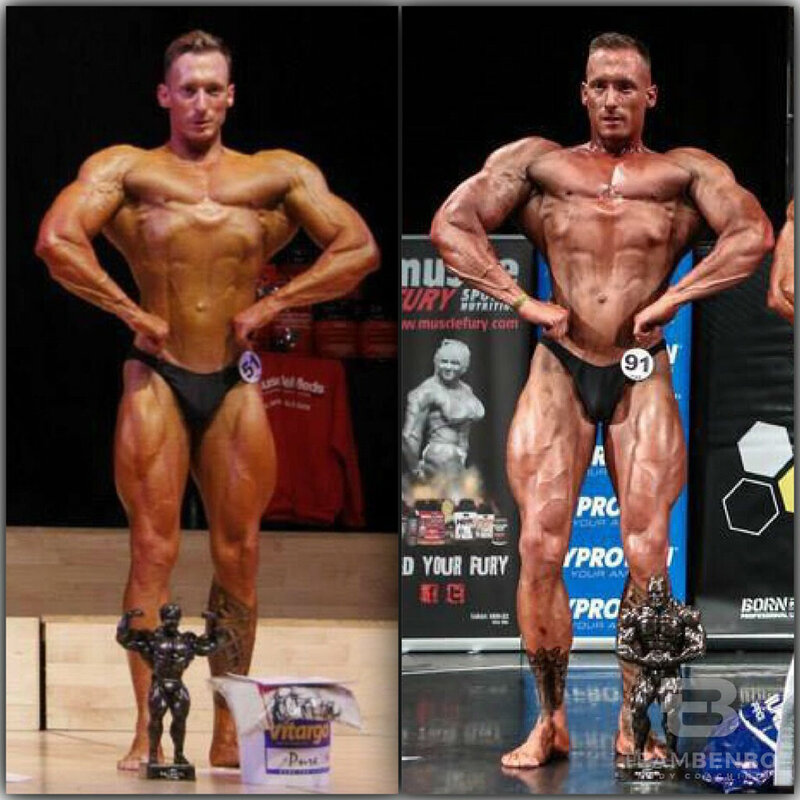 This was achieved via online coaching through his off season into contest prep coaching. 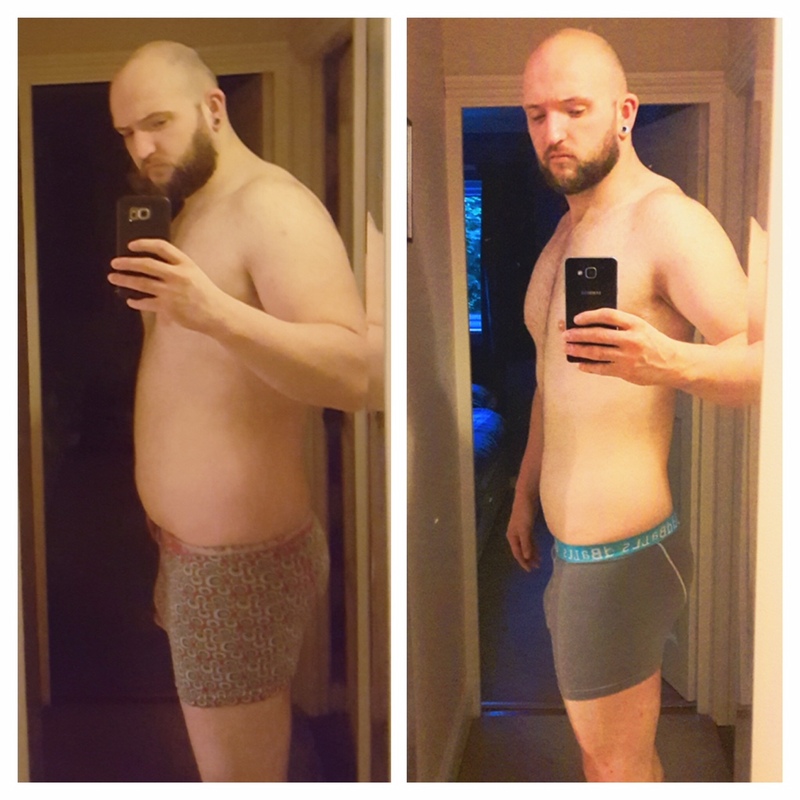 Mark's amazing progress after following his first 12 week tailored program. This is testament obviously to his incredible hard work in the gym. These are the kind of results you can achieve when you really apply yourself to the plans! 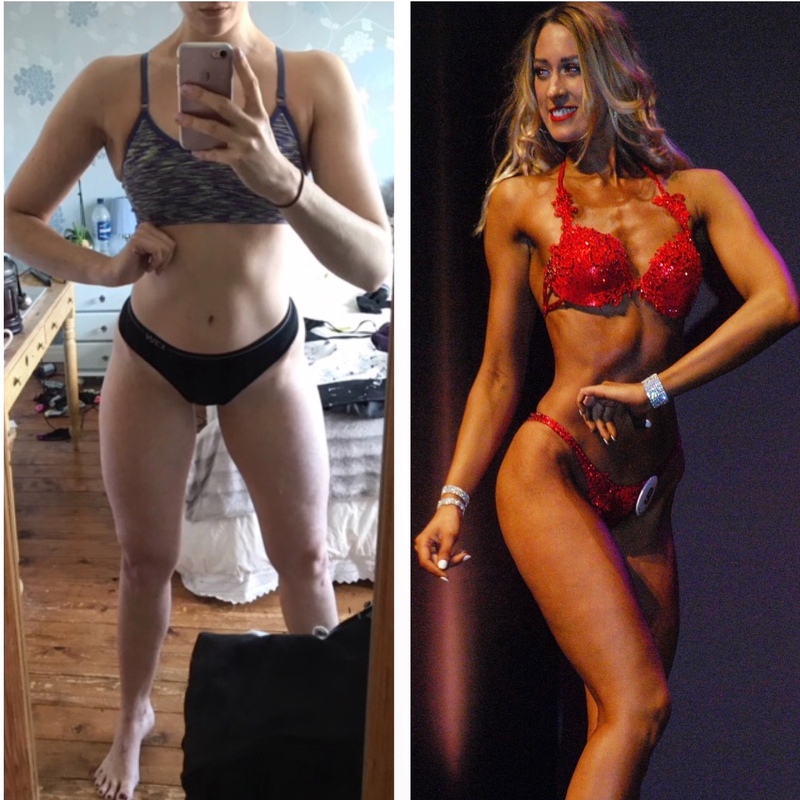 Gina's amazing progression for her first stage contest. 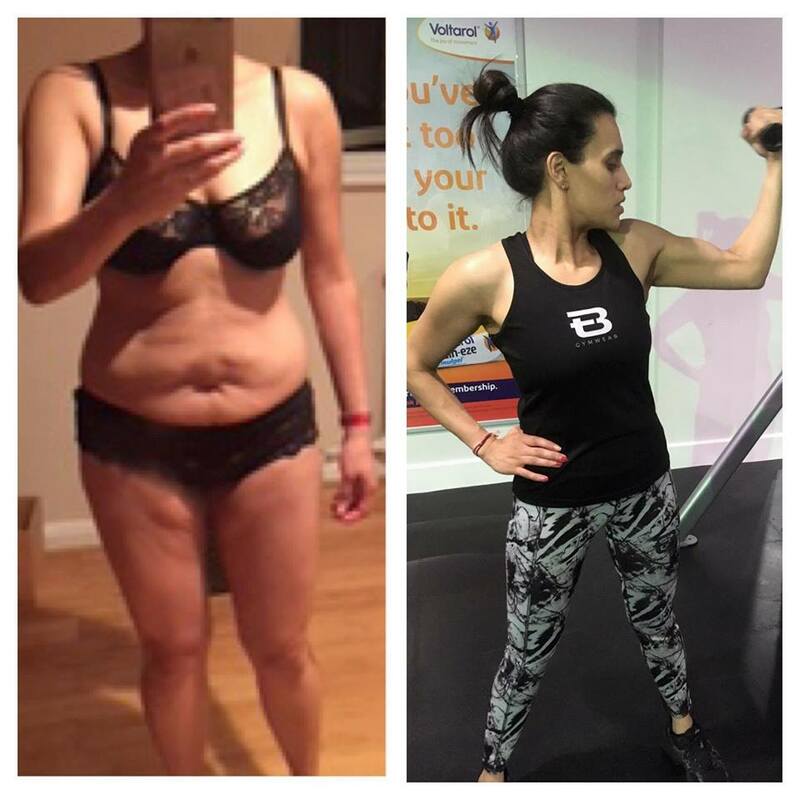 Whilst having three young children she put in the hard work to achieve the best shape of her life. Truly inspirational! Mel is 32 and a Mum. 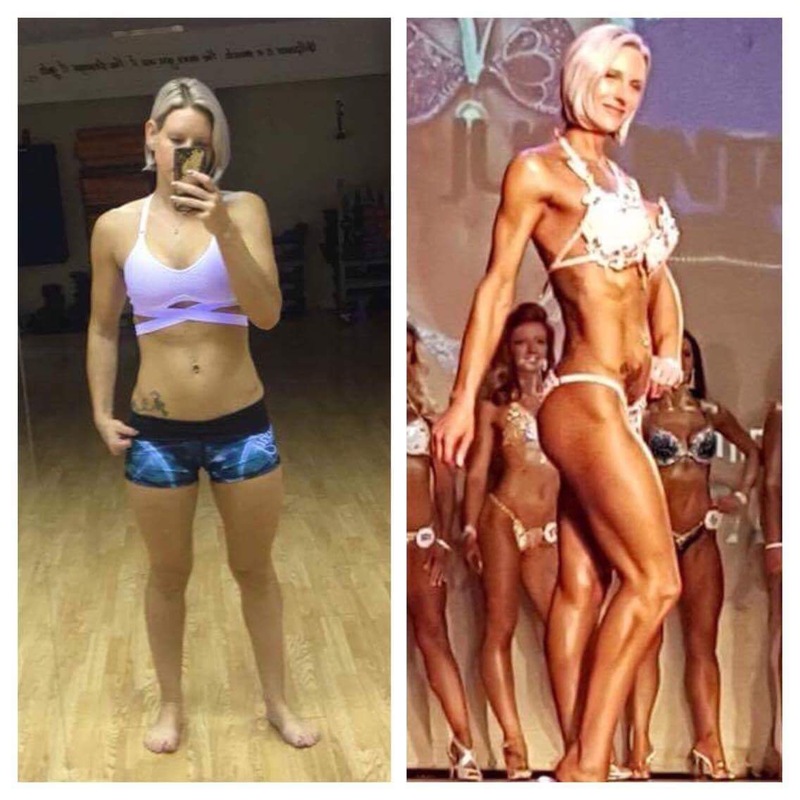 We worked together for only 10 weeks to get her on stage for her first contest, her goal to be in the best shape of her life. So proud of how hard Mel worked and she had a fantastic first showing at the Pure Elite Worlds last Sunday looking amazing! 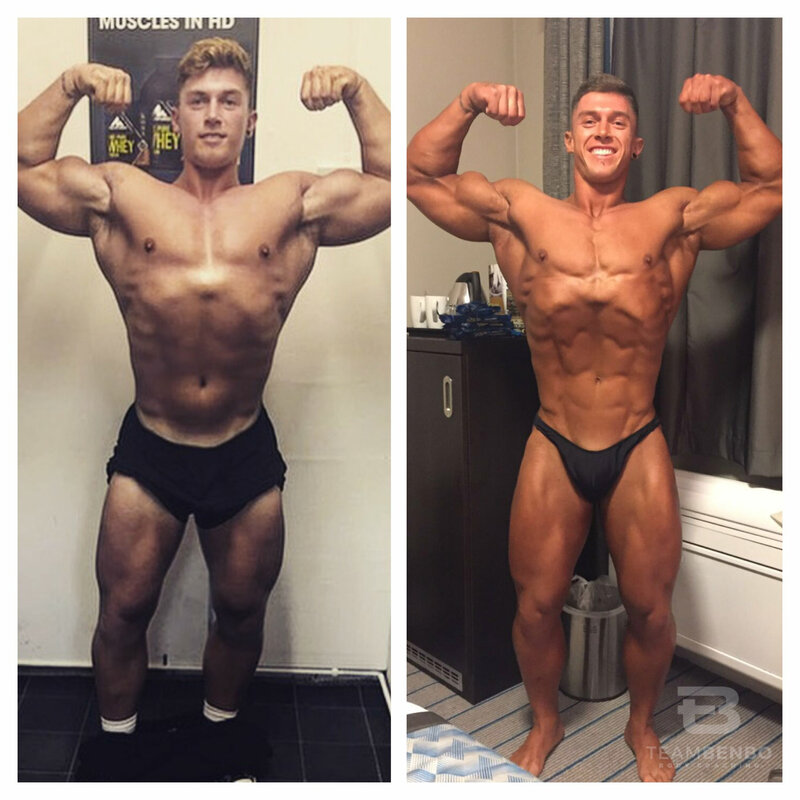 Florian's 12 week progress from off season to stage condition for his first show at the 2017 Pure Elite Worlds. 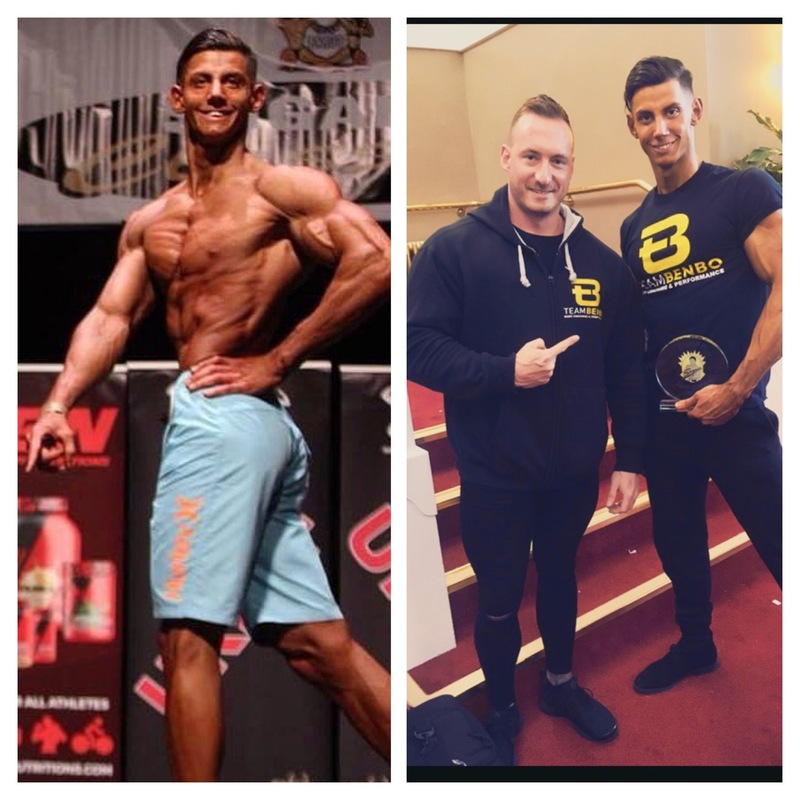 I worked with Giuliano towards his first junior men's physique competition where he placed 2nd place at the Sugar Classic, receiving invitations to 3 x IFBB Arnold Classic events and the UKBFF British Finals 2018. At the age of only 21 I predict a big future for this budding athlete. 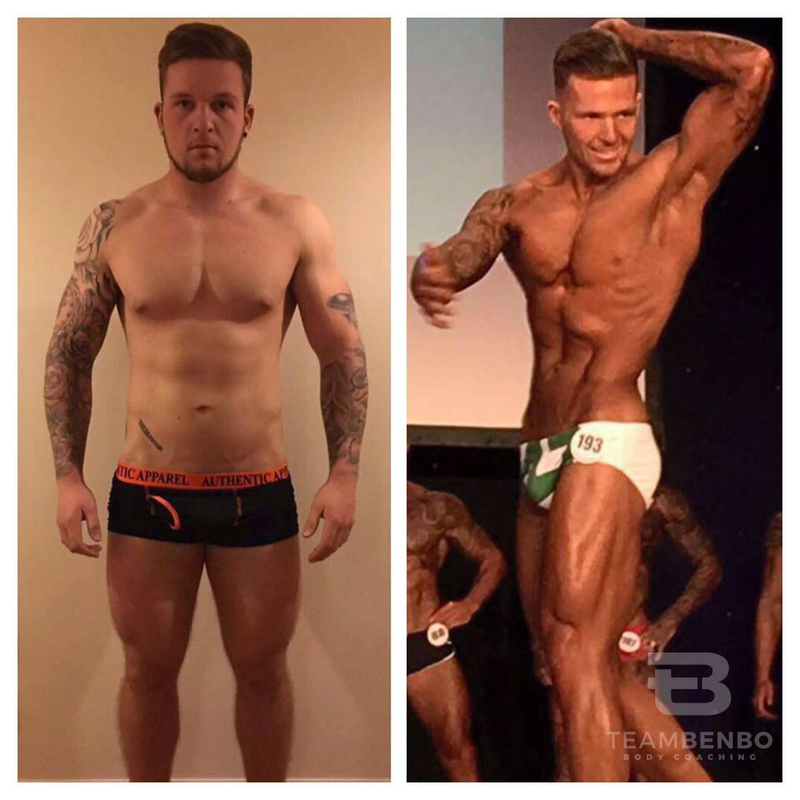 Dale worked extremely hard on his 'competition coaching' for 14 weeks to achieve this amazing transformation! 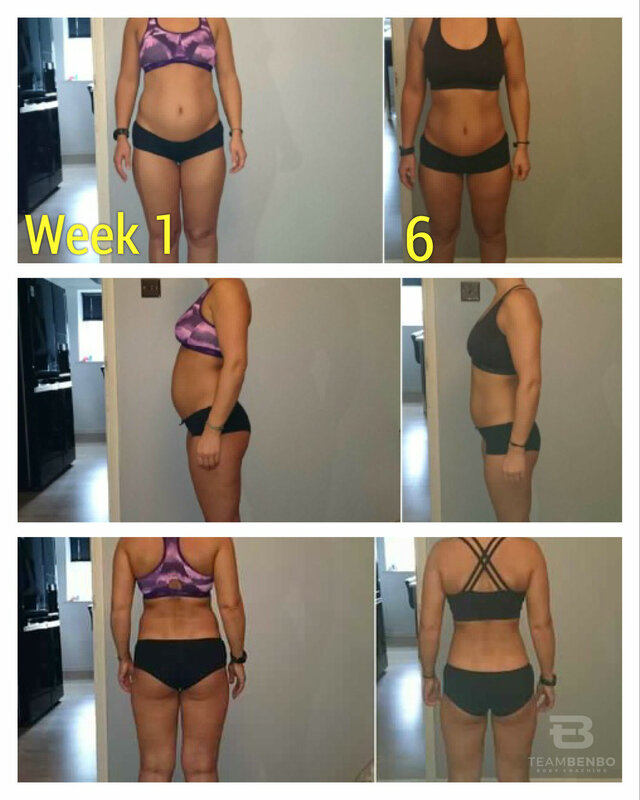 Jen showing us her results from an 8 week tailored program. Amazing work. Ben and I worked hard for 3-4 weeks to set his body up for a good cutting phase. This was necessary to speed his metabolism up & give him the structure required to actually gain muscle and reduce his body fat percentage. 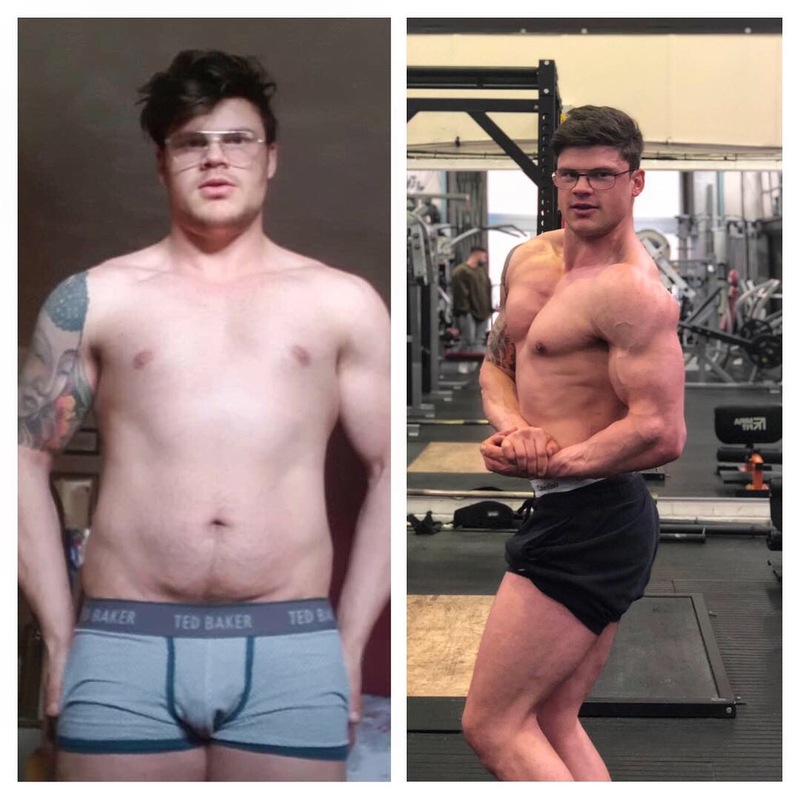 5 months 'online coaching' with Matt. 21kg down (3.3 stone) with an increase in muscle mass/ strength. Very proud of his hard work and dedication! 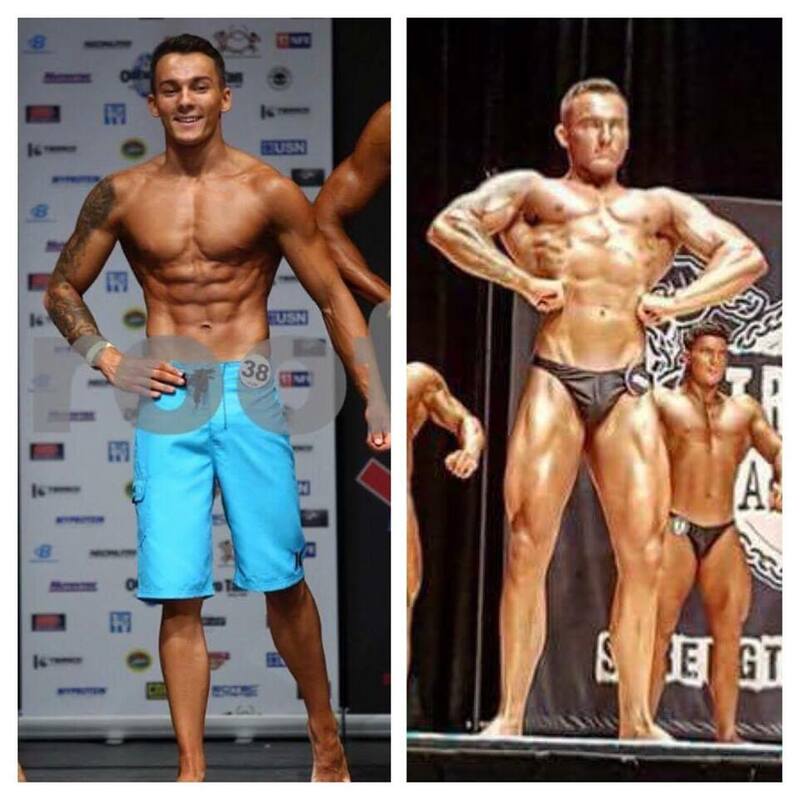 Before and after pic of junior mens physique athlete Giulanio. 16 weeks apart, wearing the same vest, but physique progress showing some great results through some very productive online coaching. 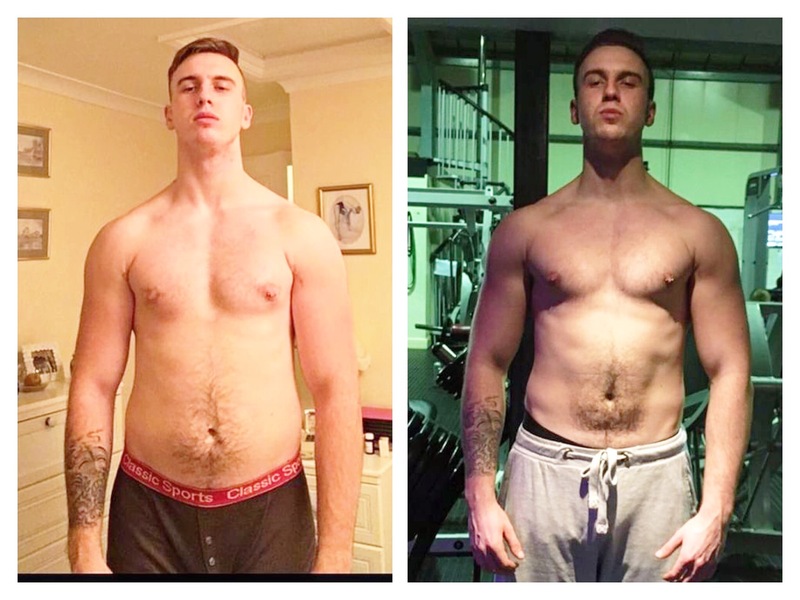 Callum's great results after 9 weeks on a tailored plan. Age - 21 / 6ft 6. 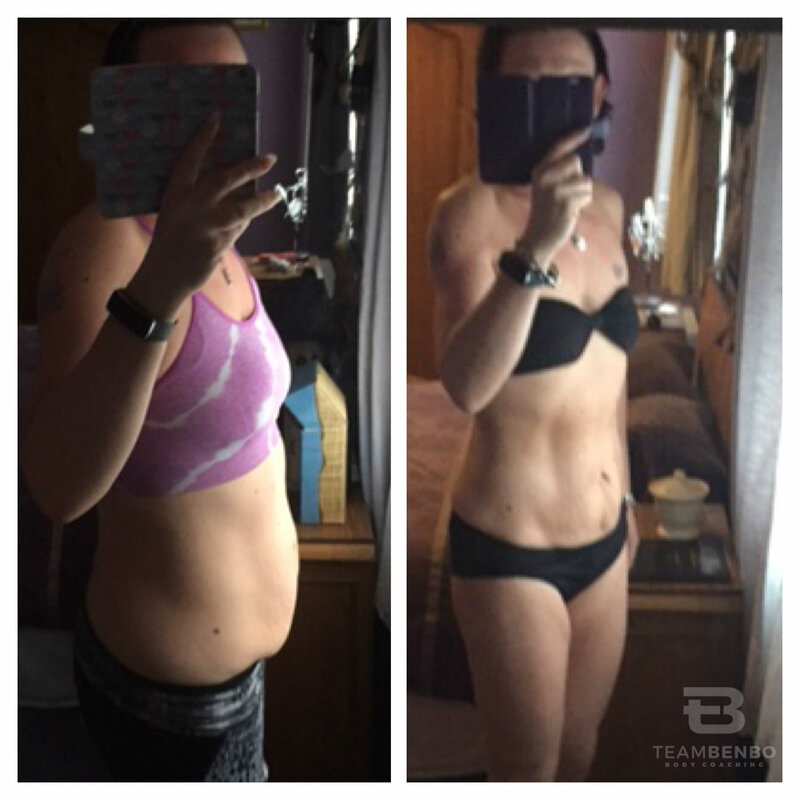 Kristan's results from online coaching & PT sessions. What a great body composition change! 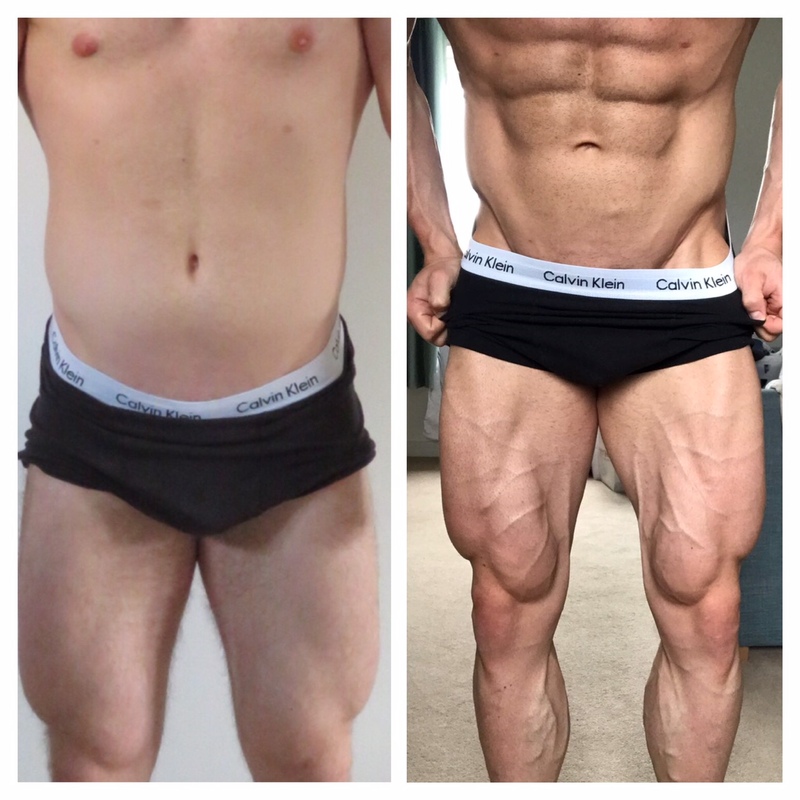 Awesome work by Tom - online coaching - age 21. 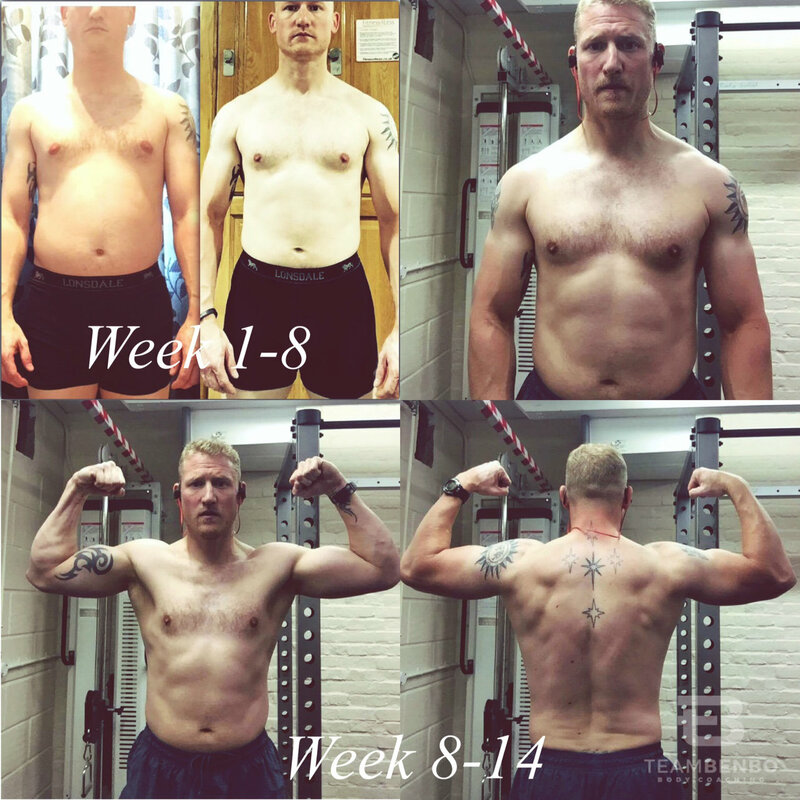 Steve showing some great work here during his 12 week tailored program. 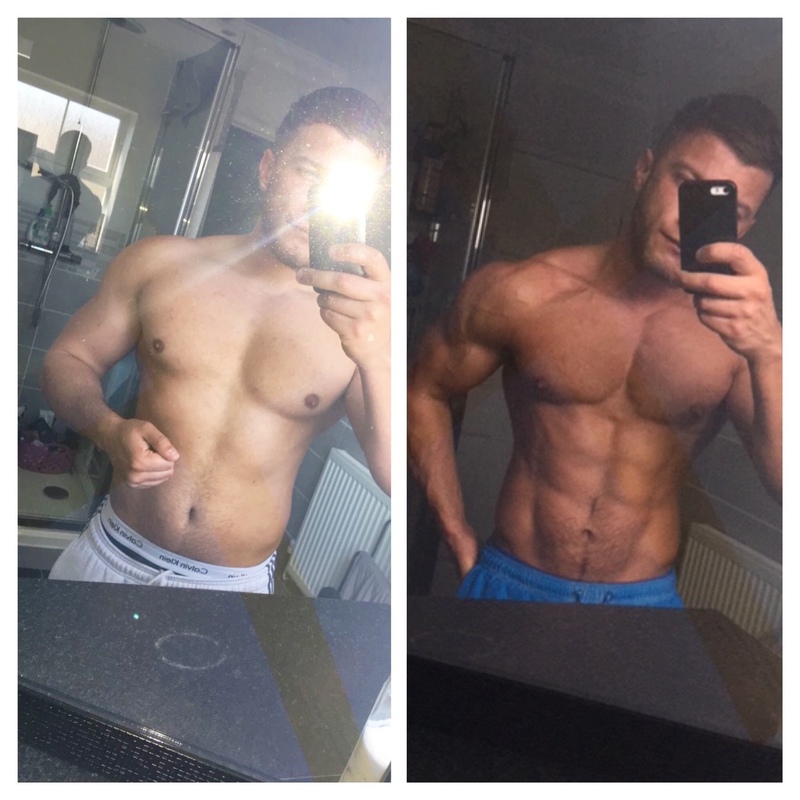 Adrian showing some great fat loss and lean tissue gain here during his online coaching plans. After some tailored programming Justine is showing a great transformation with a decrease in body fat and an increase in lean tissue. Penny showing a great transformation here for her first bikini contest. A reduction in body fat tissue and an increase in lean tissue showing a great body composition change. Natalie is one of our posing class clients who went onto win her first bikini contest in the Ukbff Leeds qualifier. We worked on her confidence, transitions and poses to make sure she nailed it on the day. Such a great achievement for a first show in a very popular class. Now onto the 2017 British Championships. Some of the team in action during some posing sessions - full details on posing classes can be found on the personal training tab.